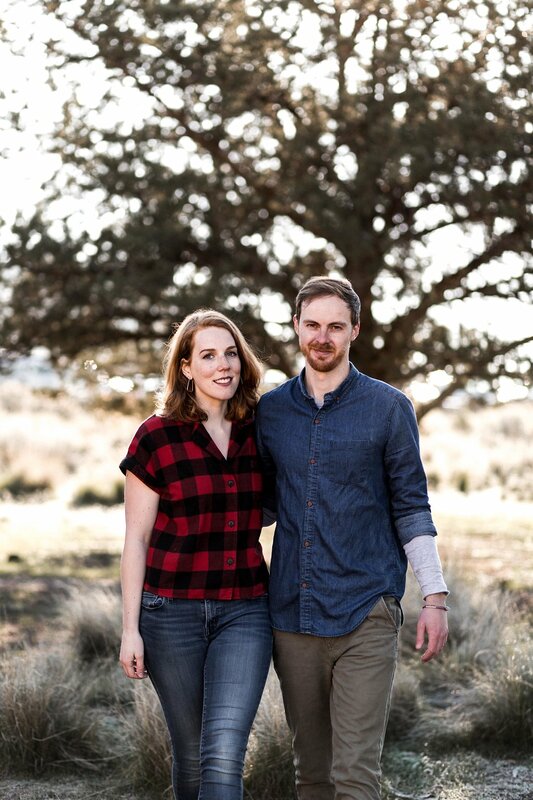 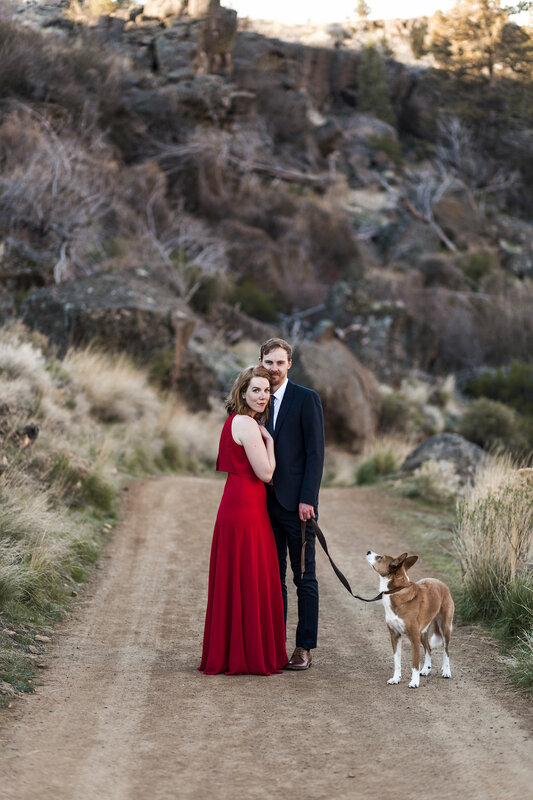 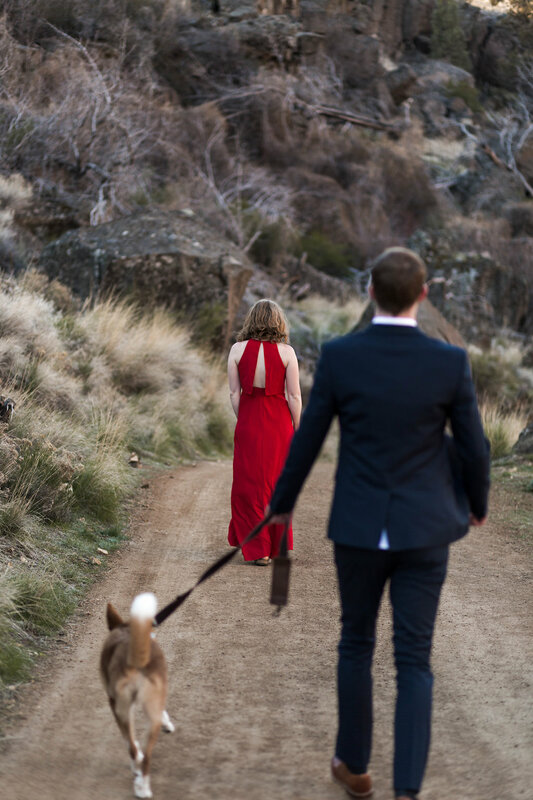 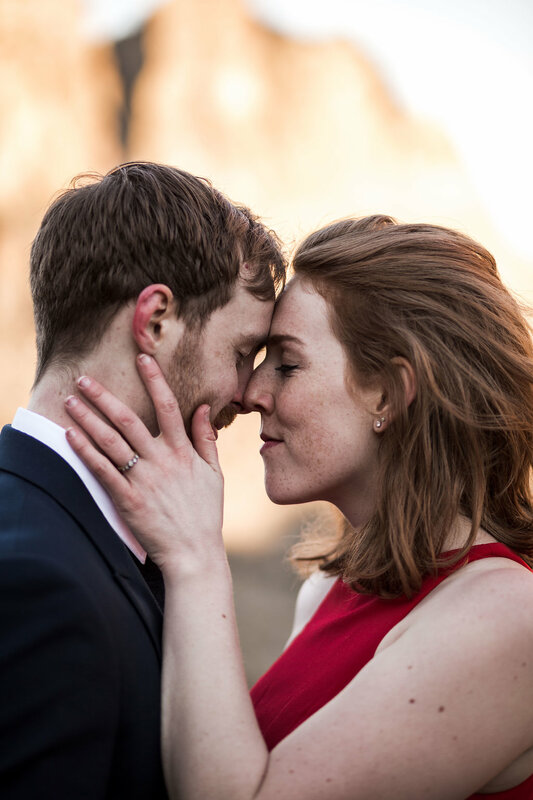 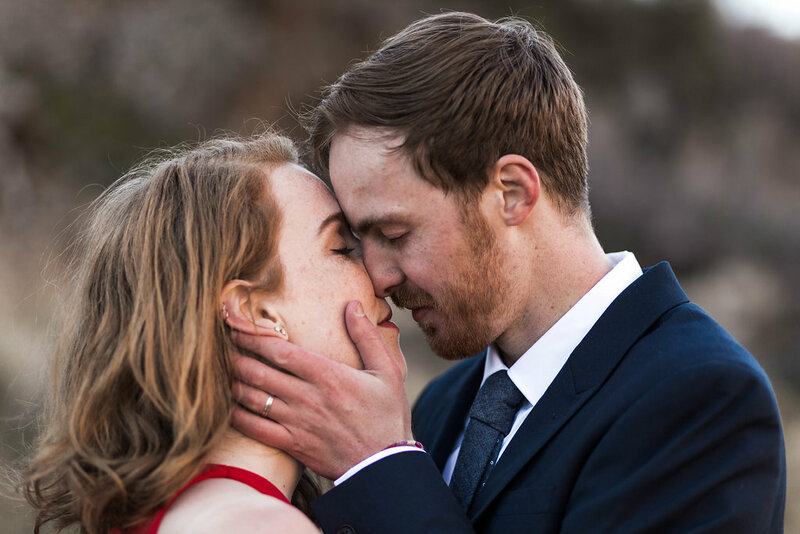 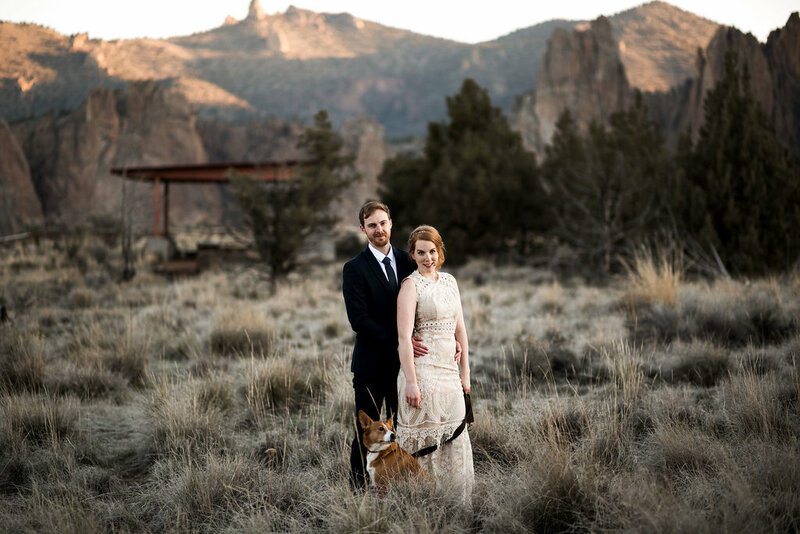 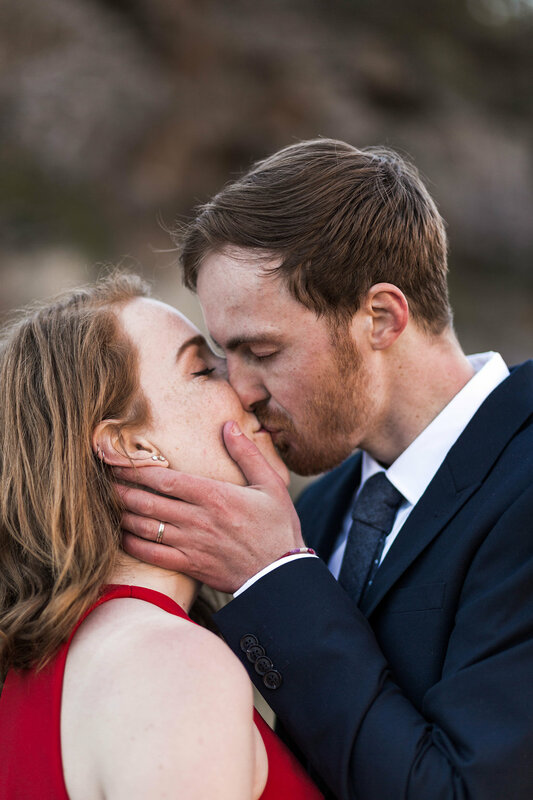 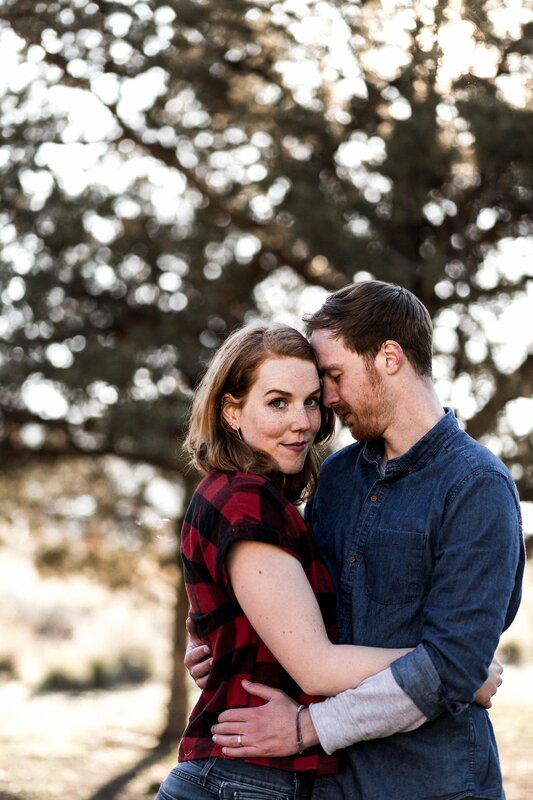 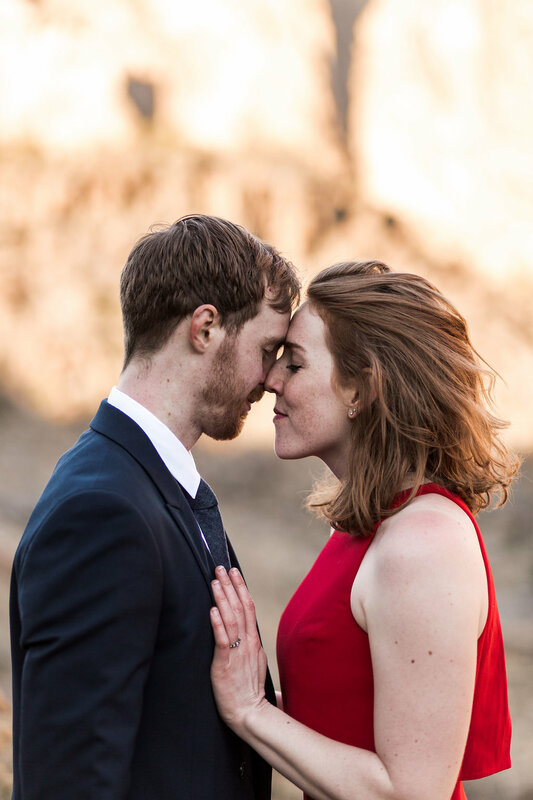 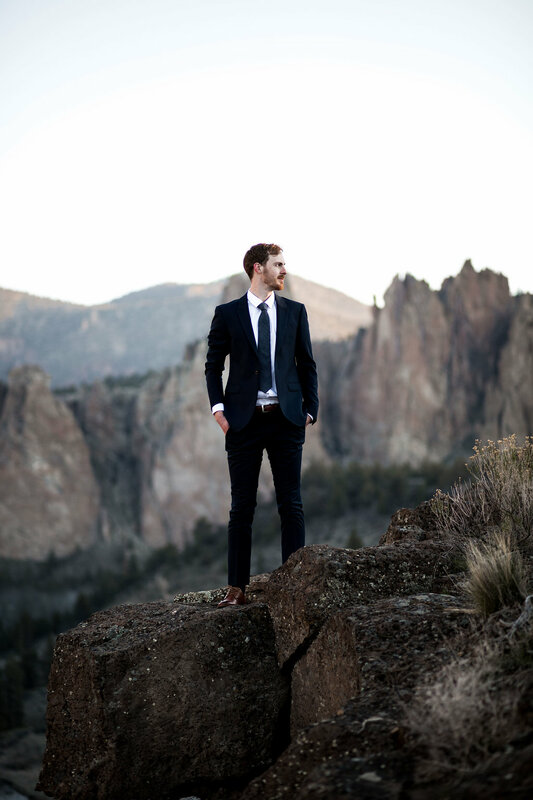 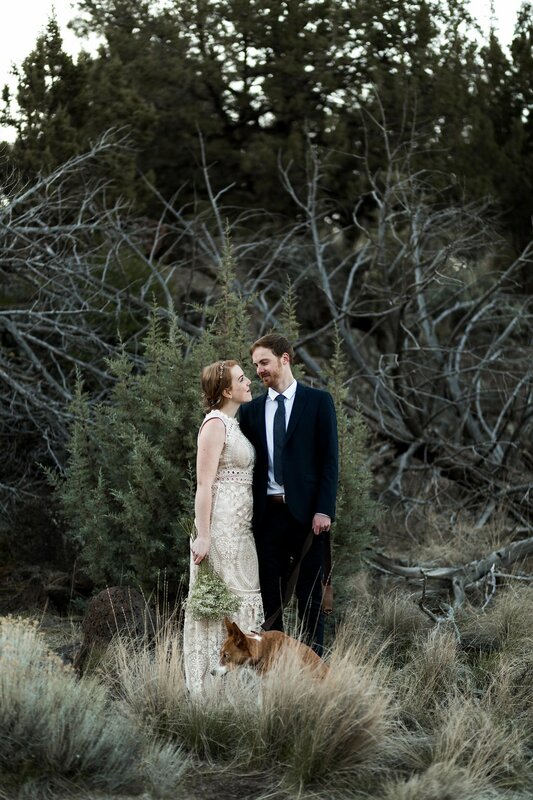 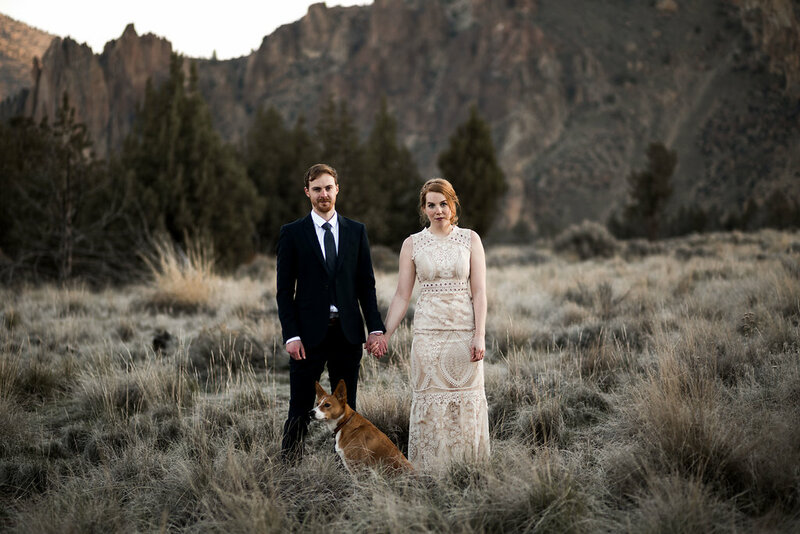 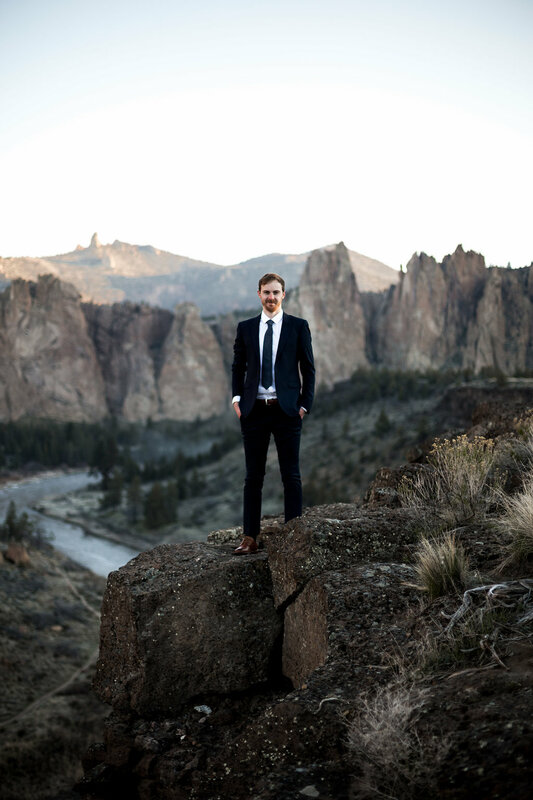 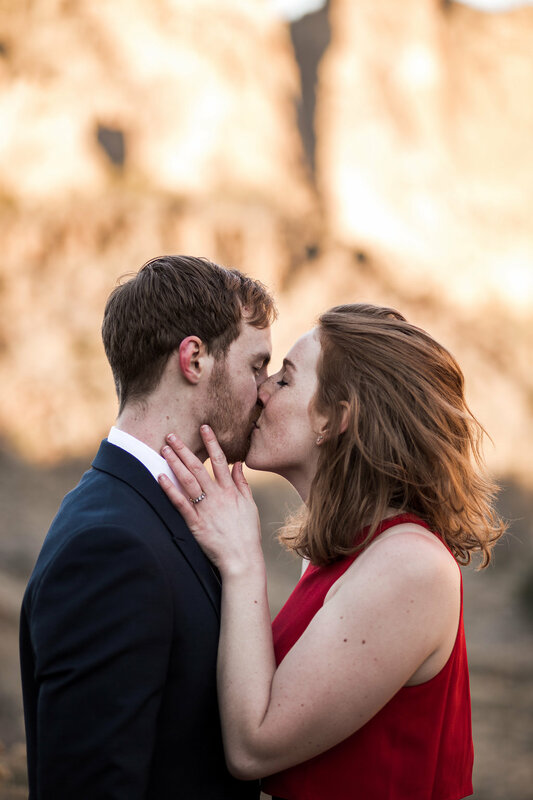 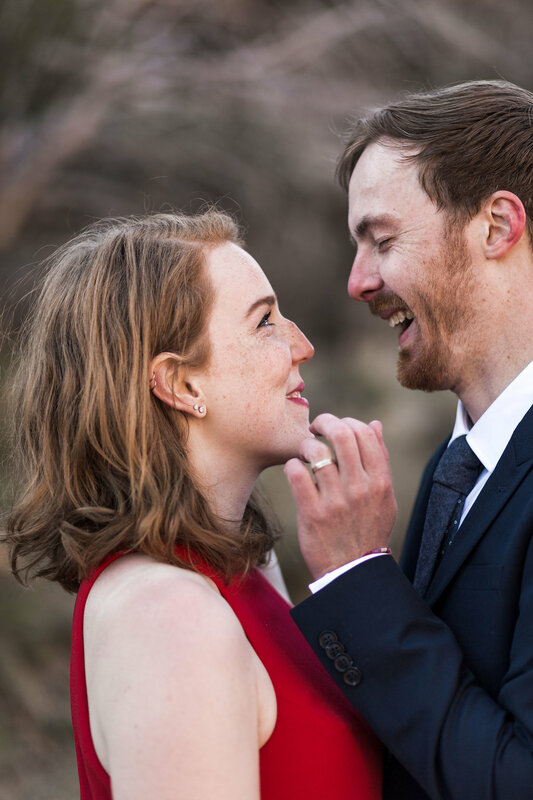 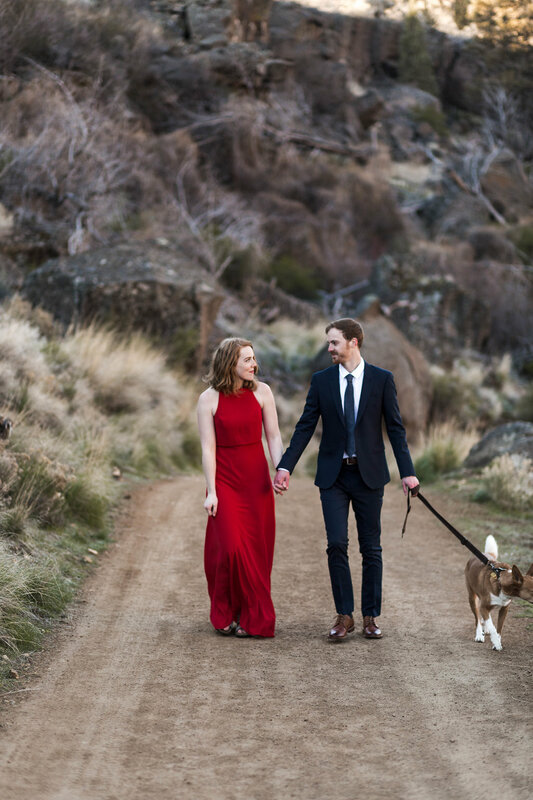 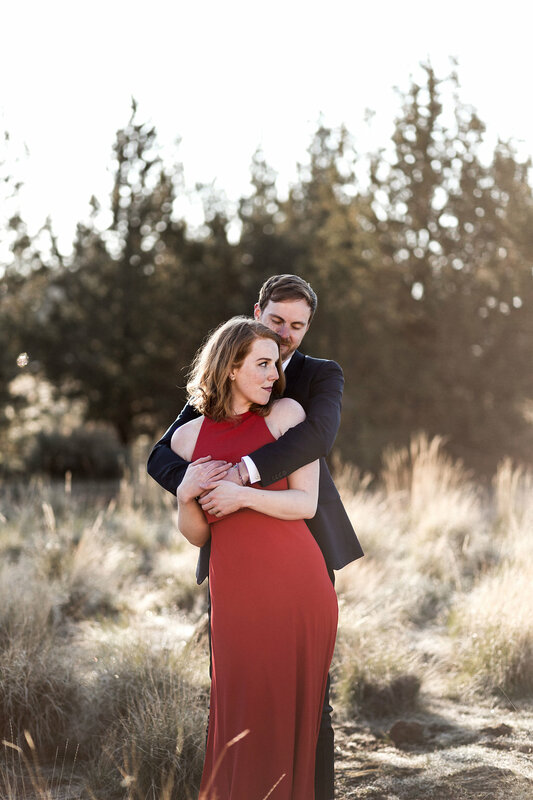 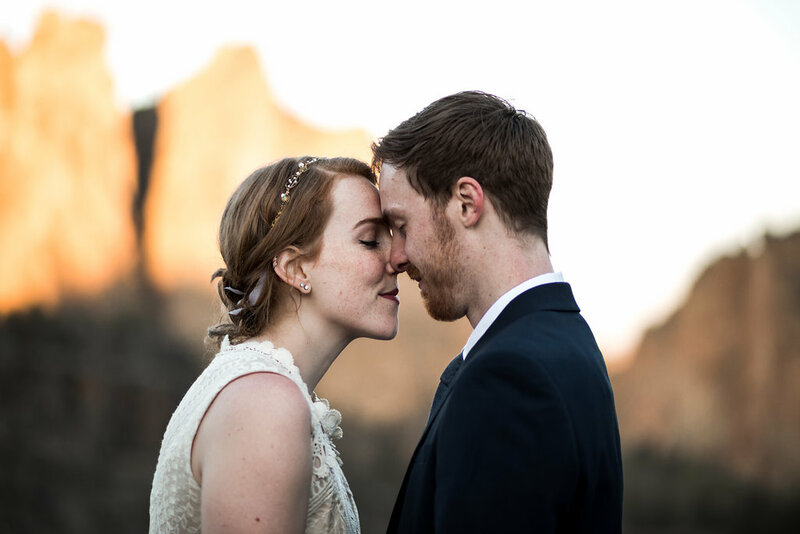 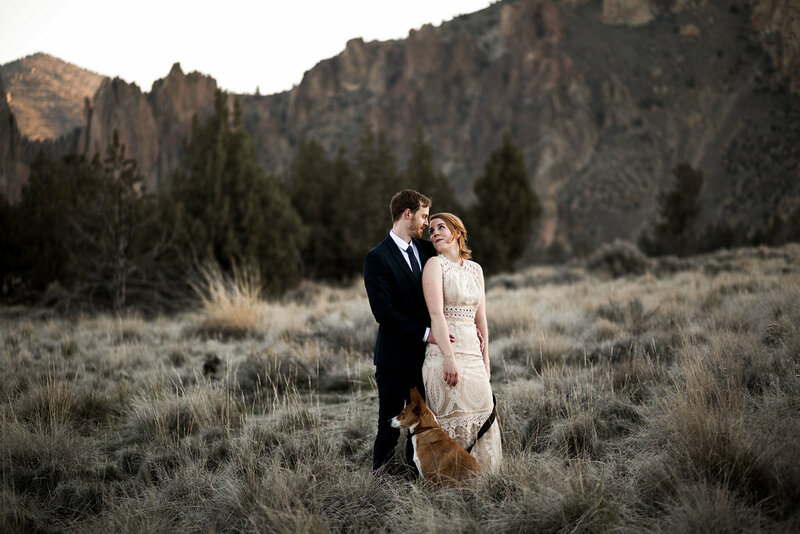 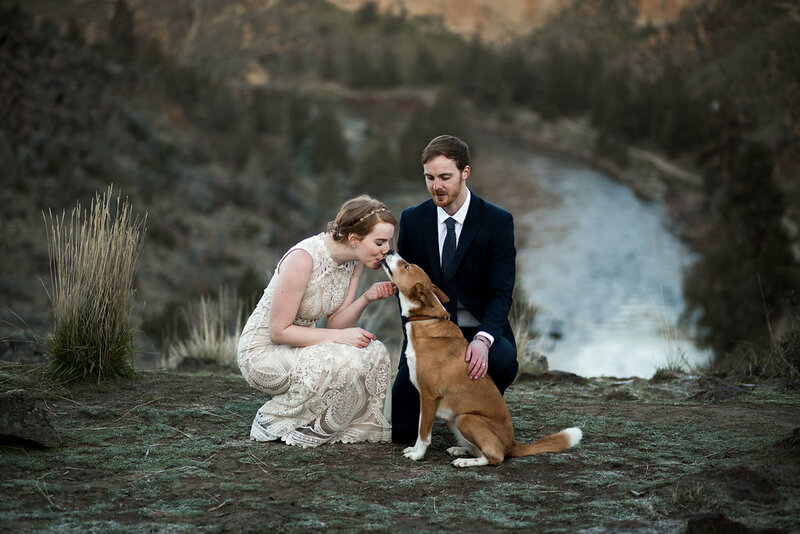 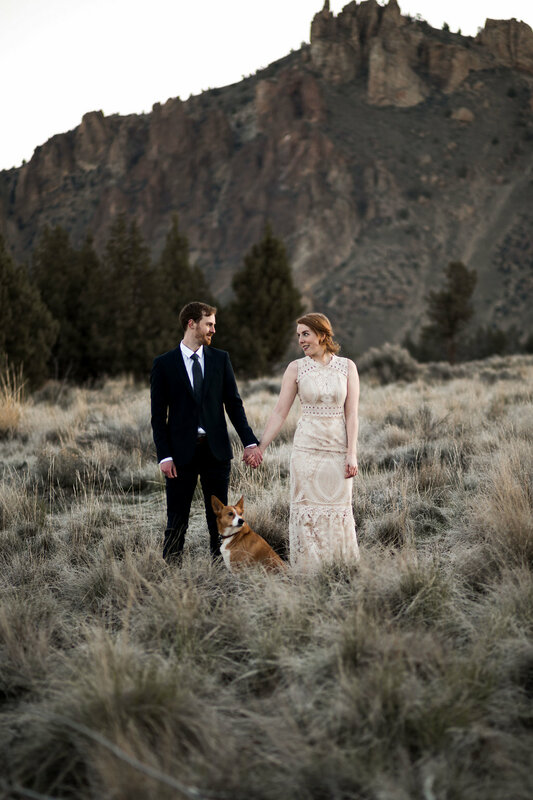 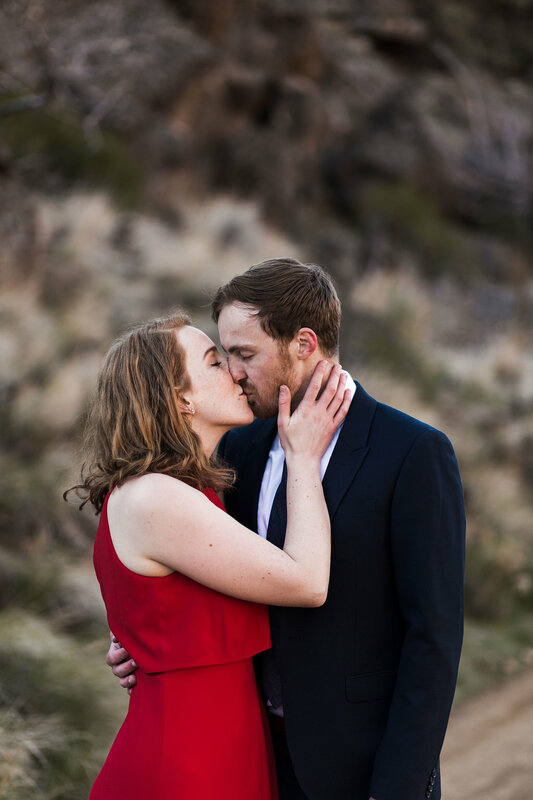 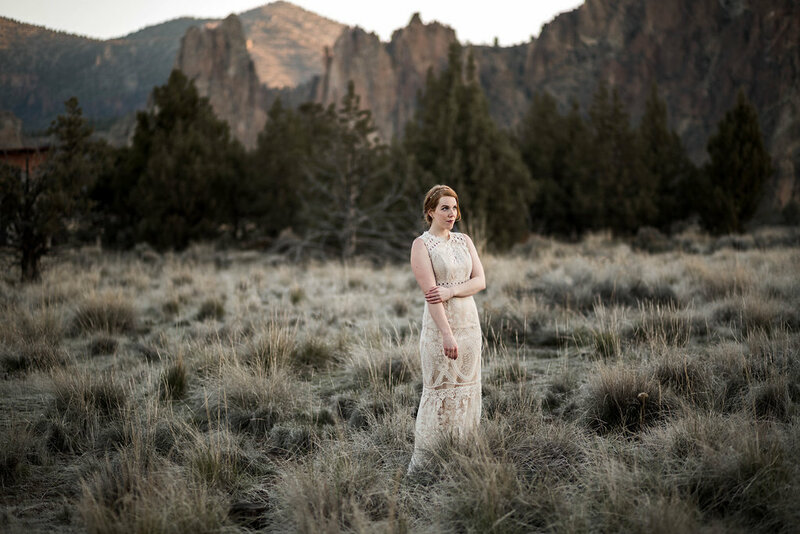 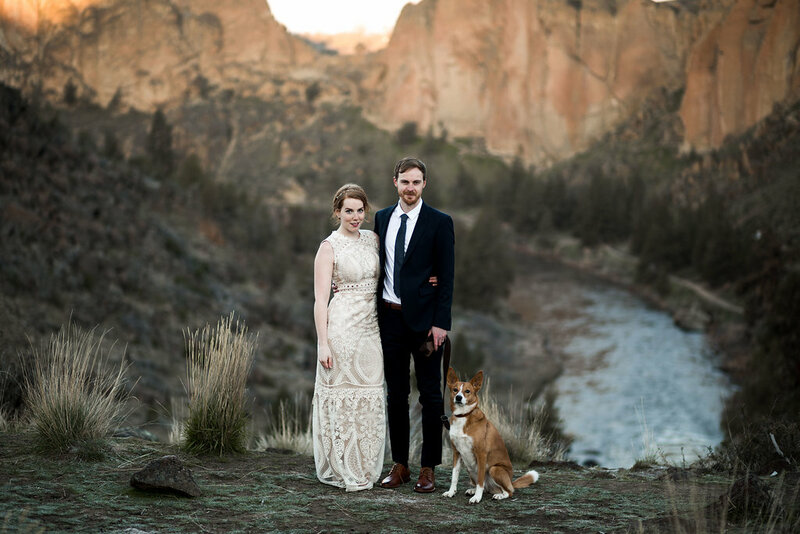 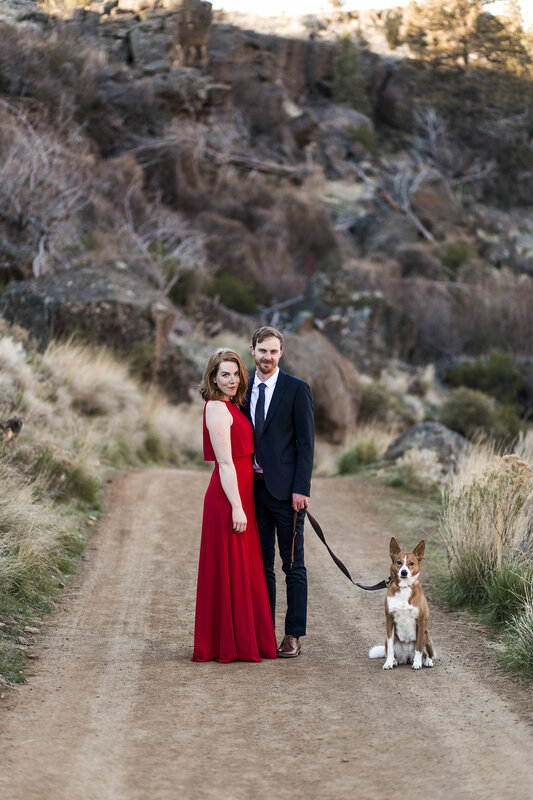 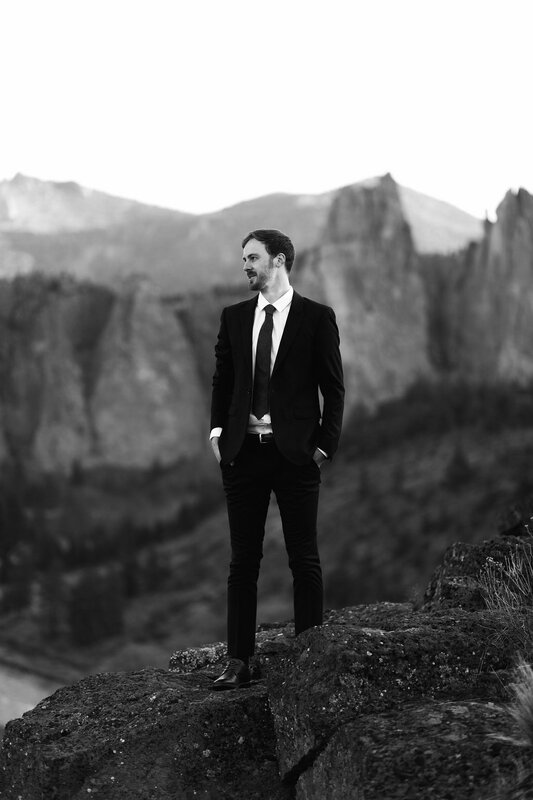 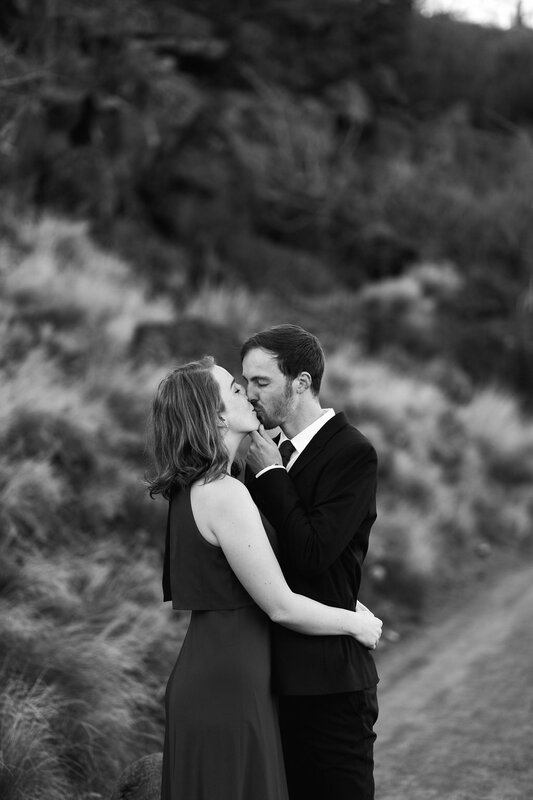 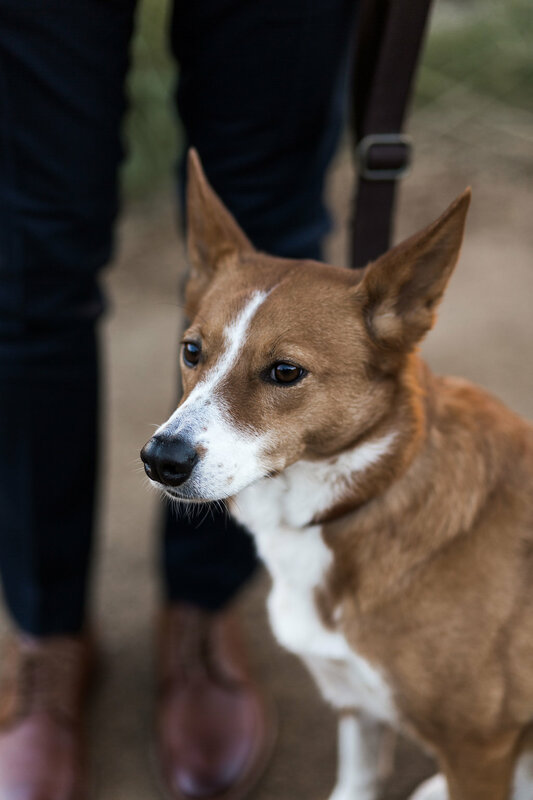 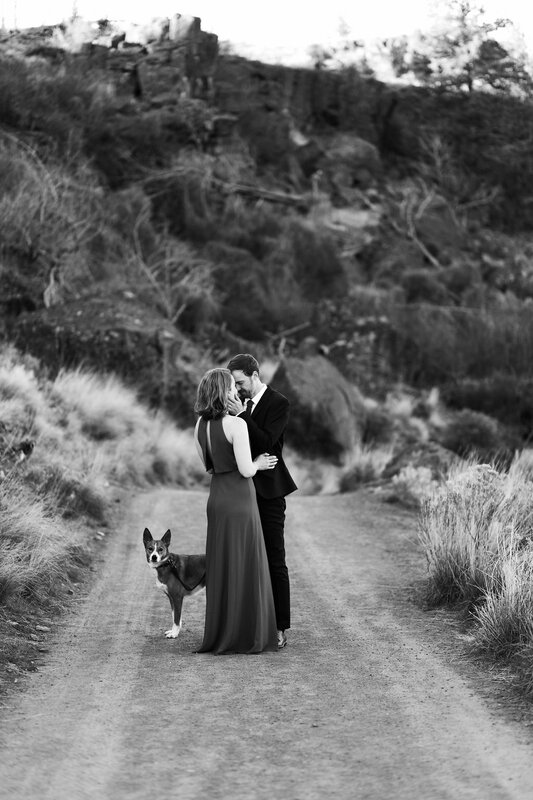 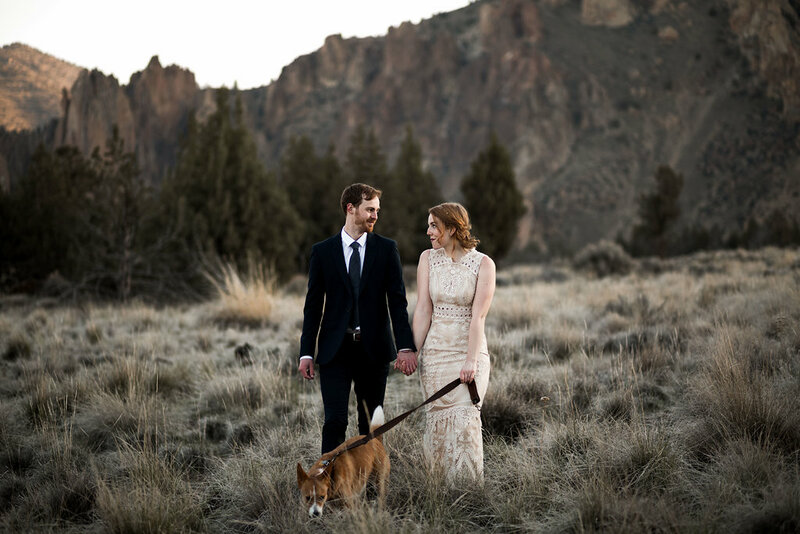 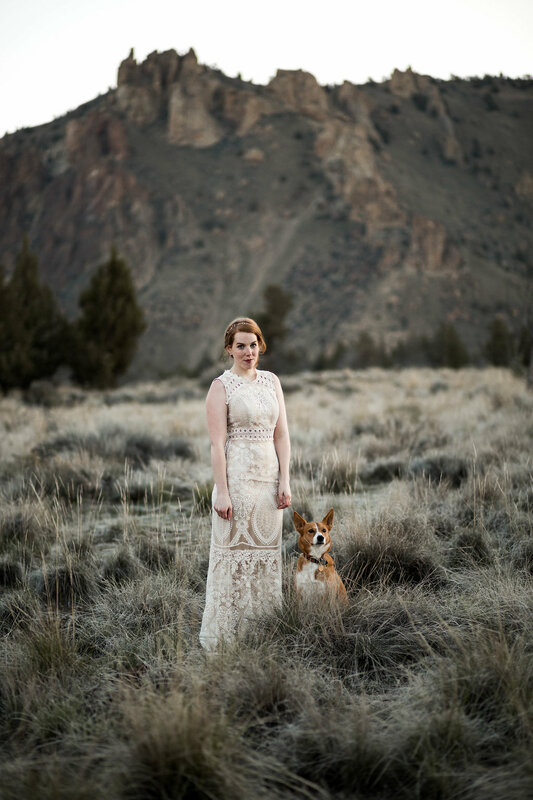 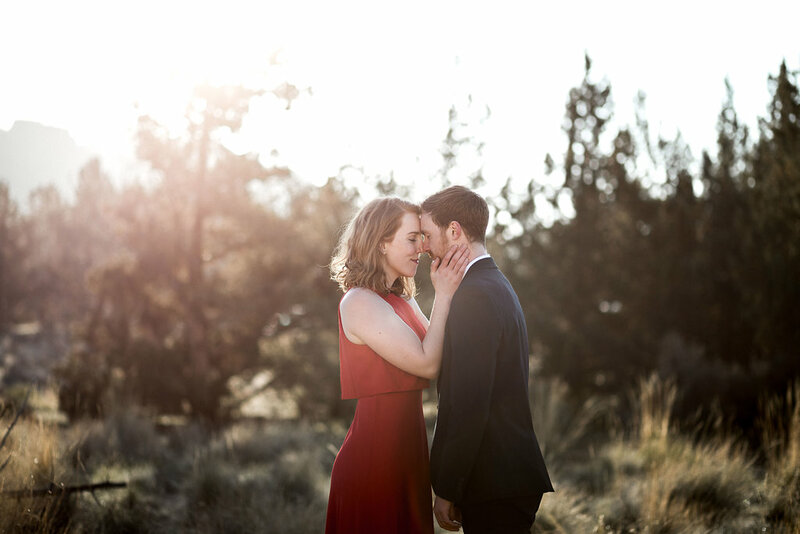 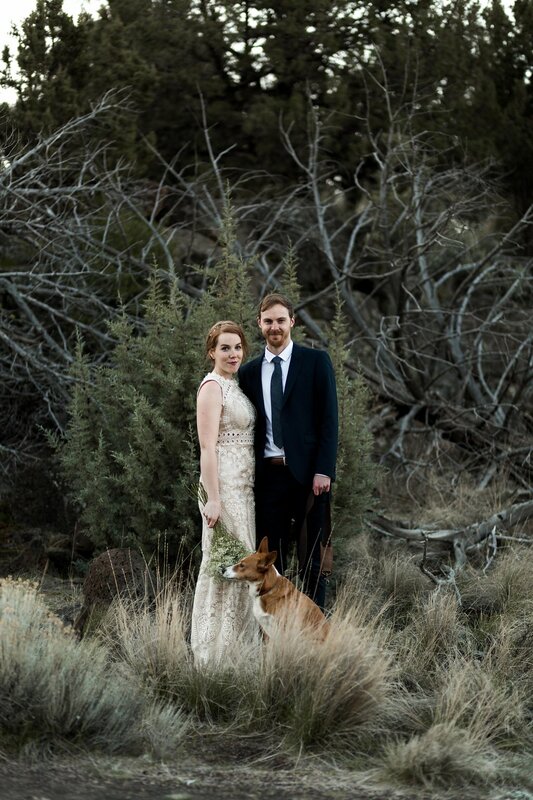 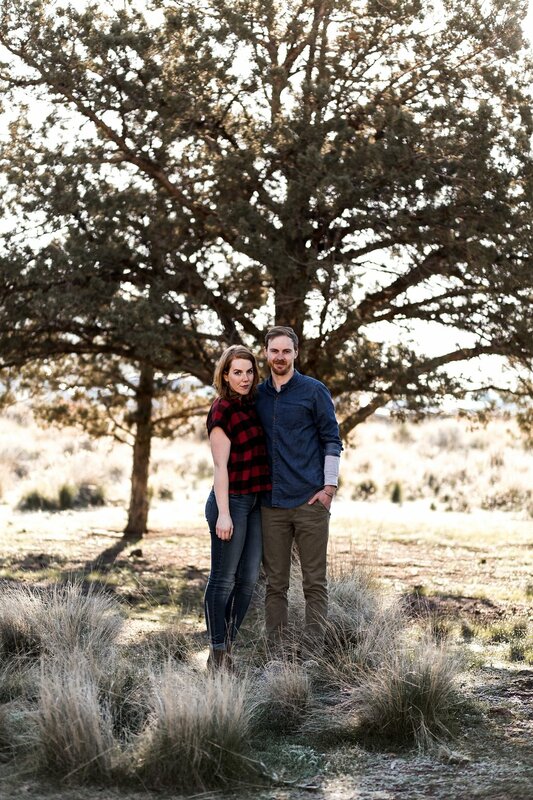 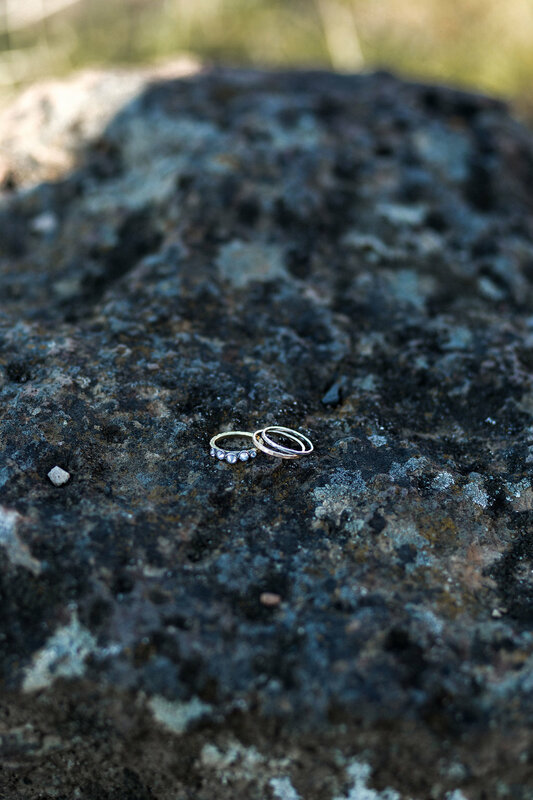 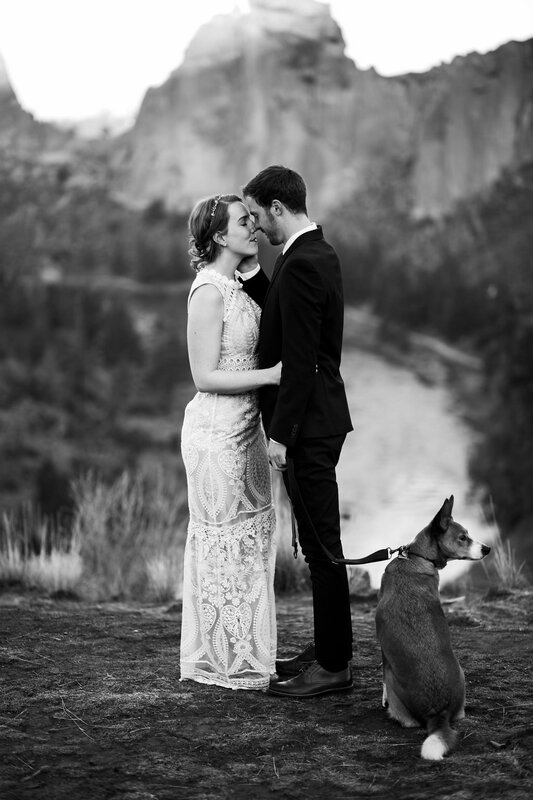 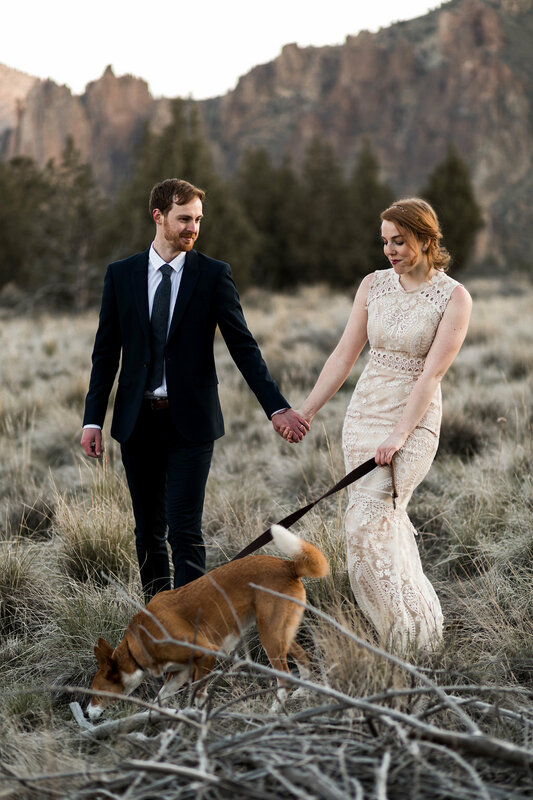 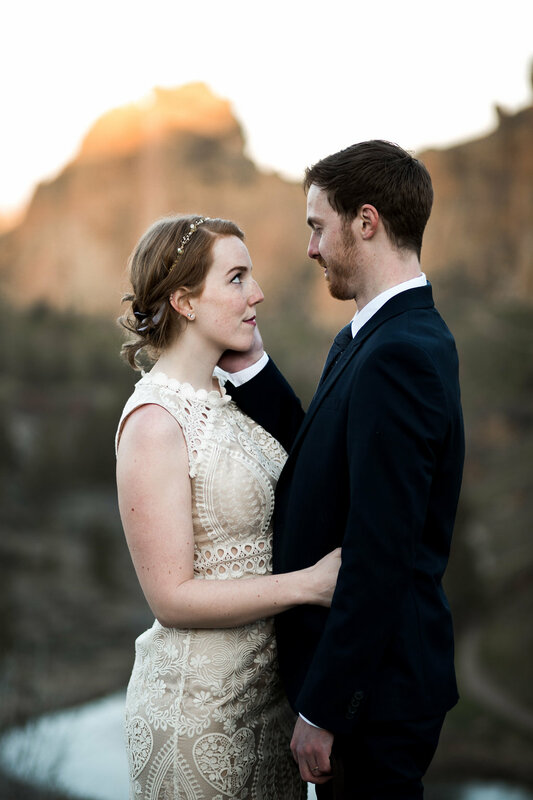 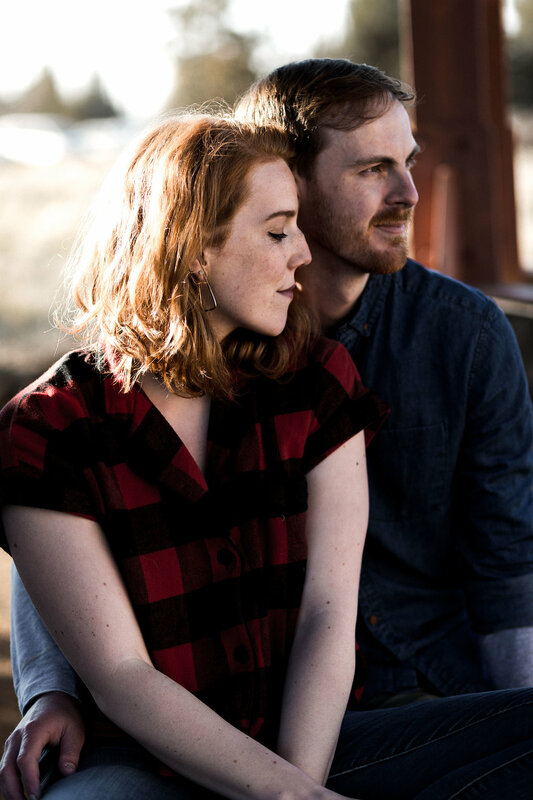 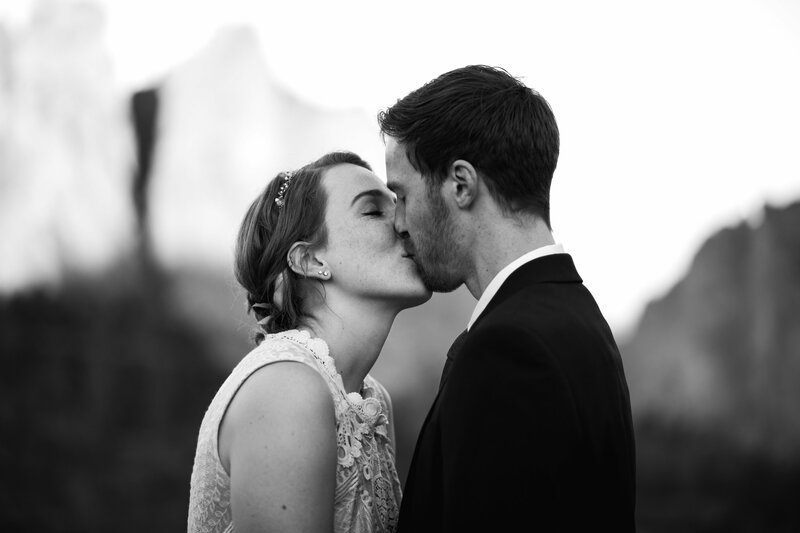 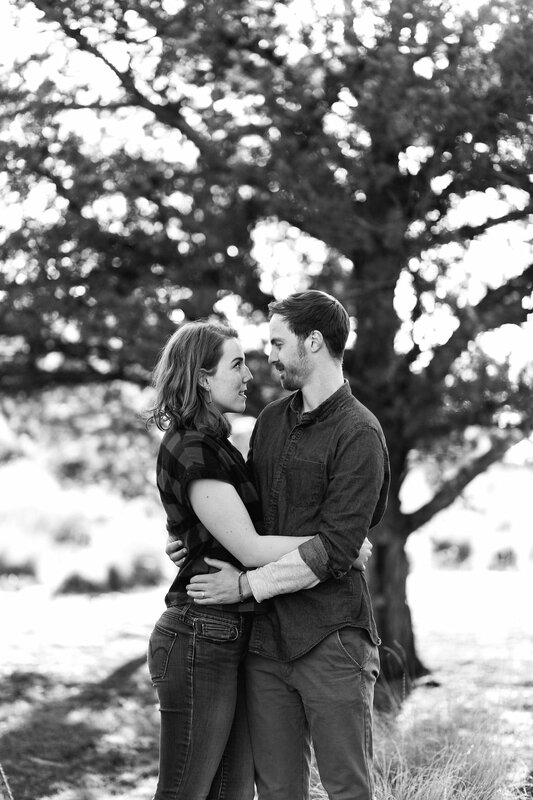 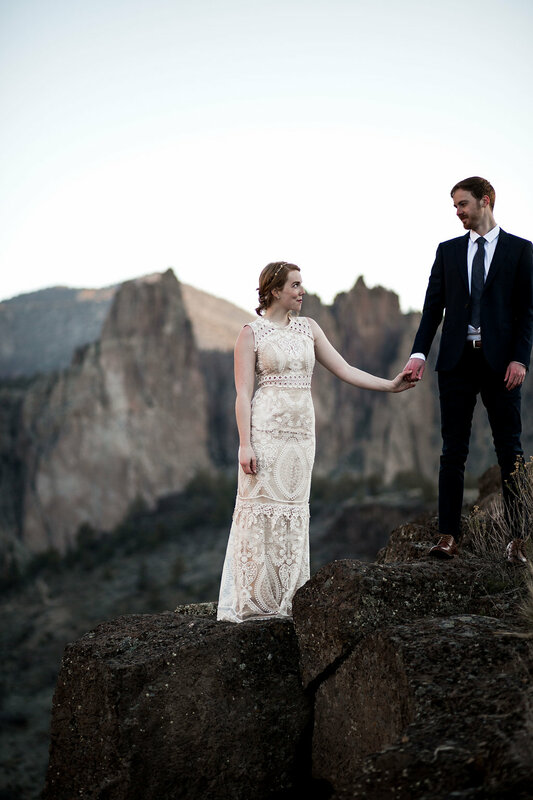 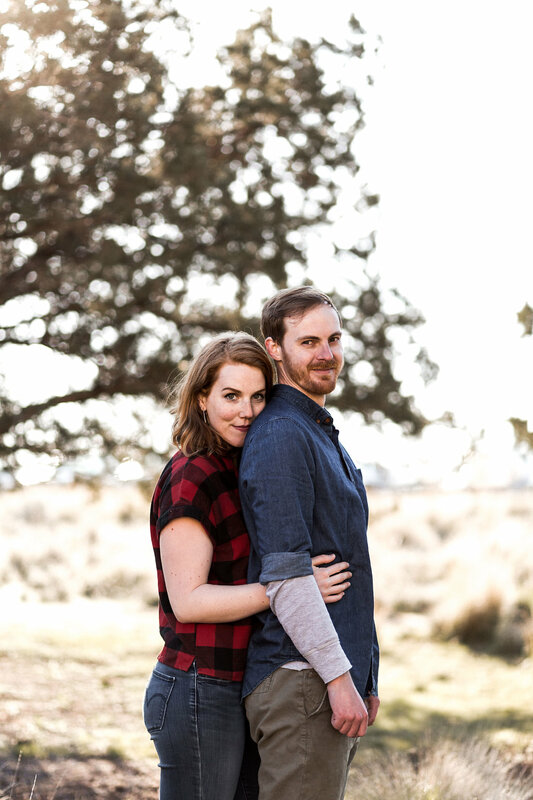 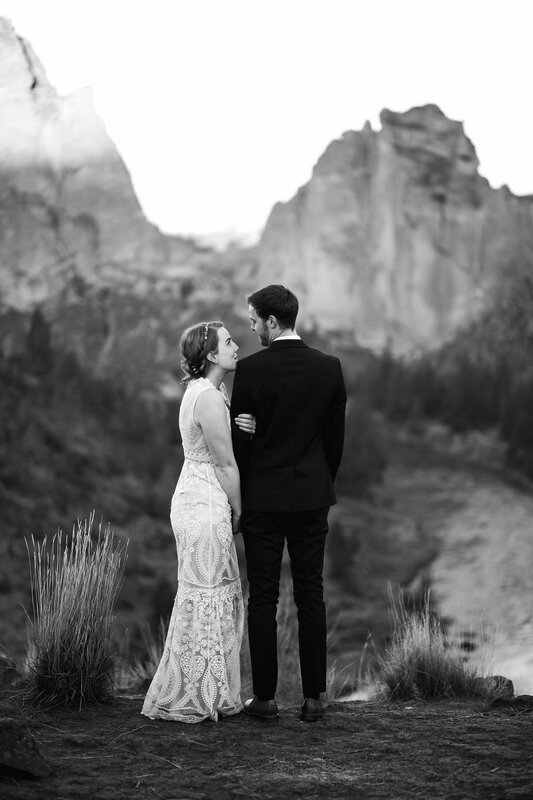 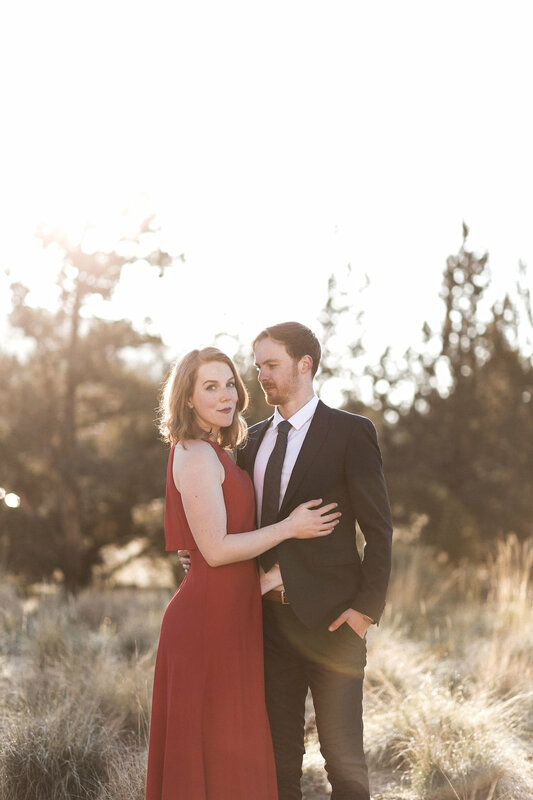 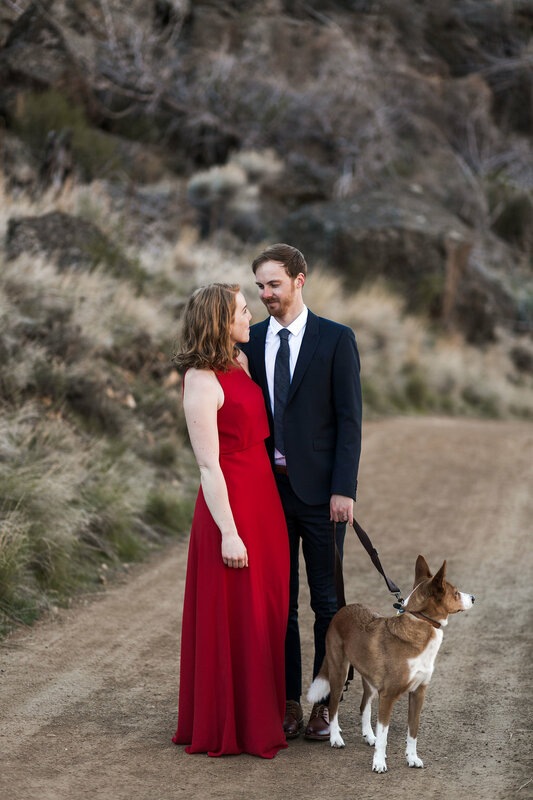 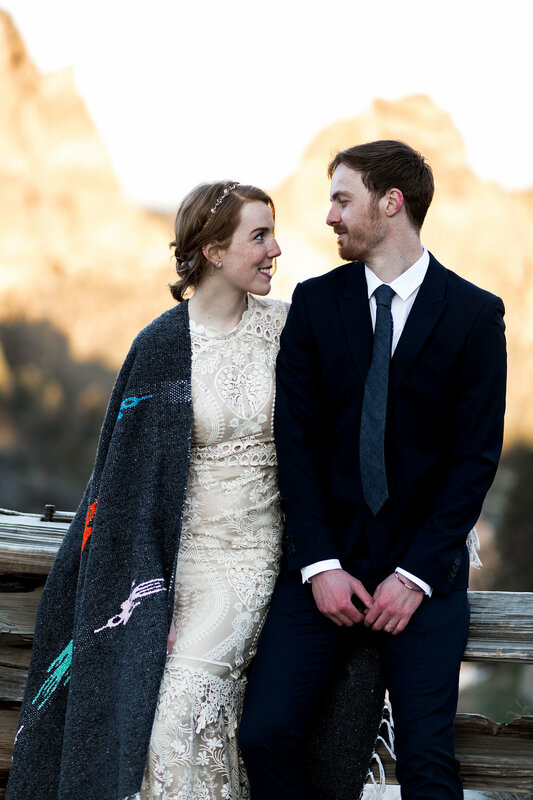 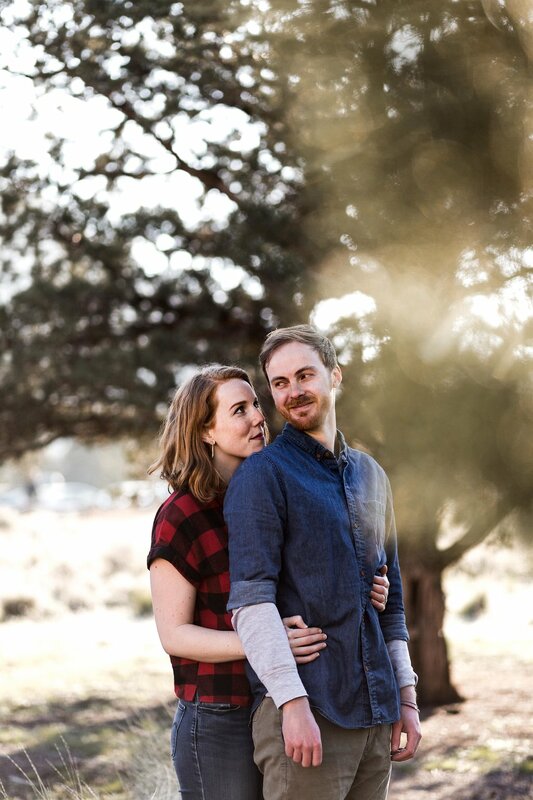 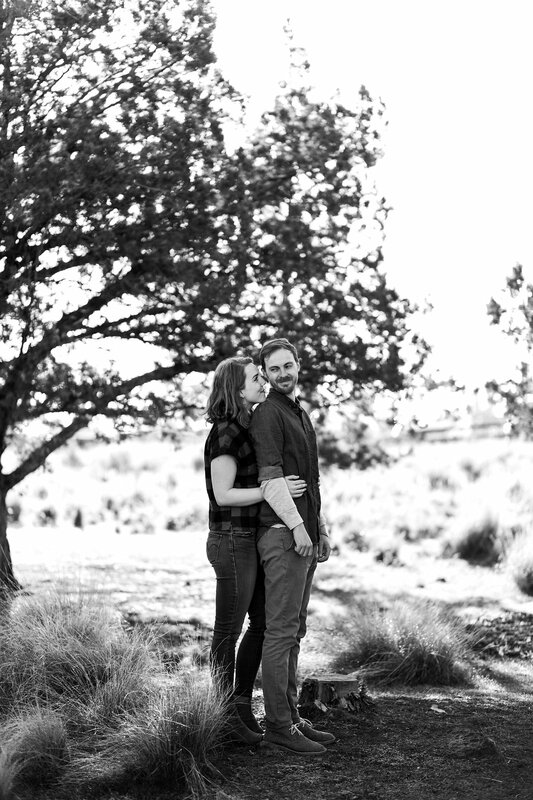 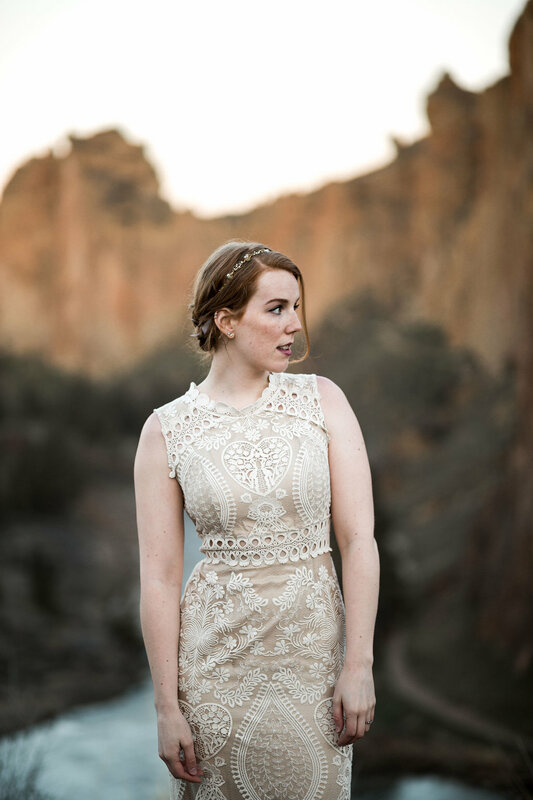 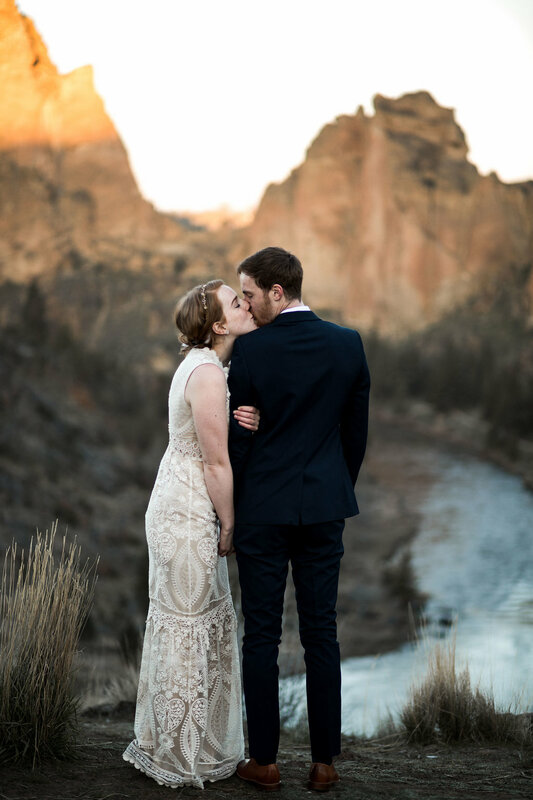 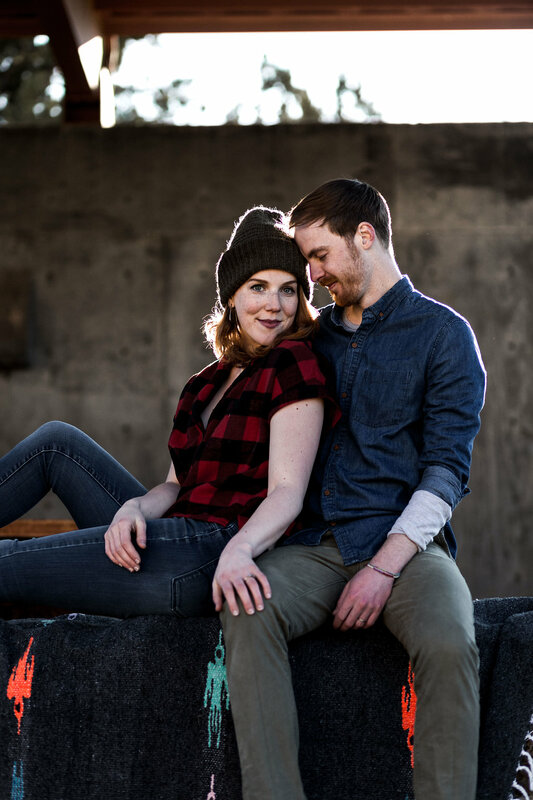 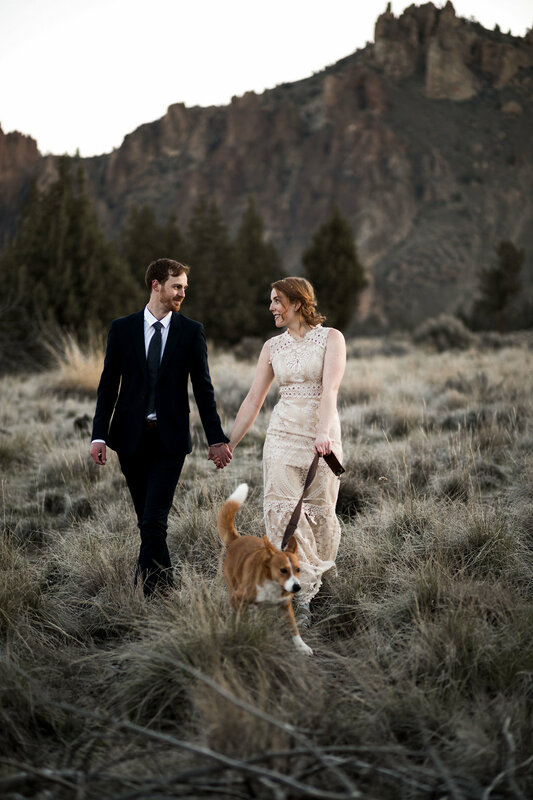 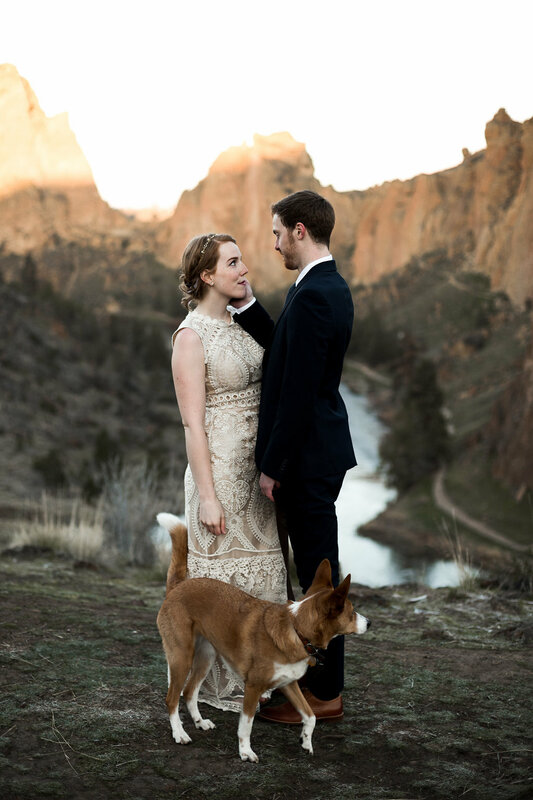 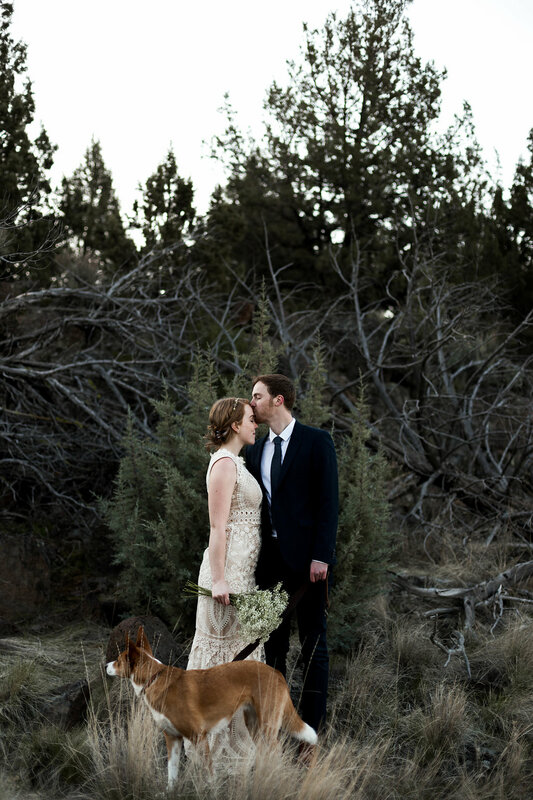 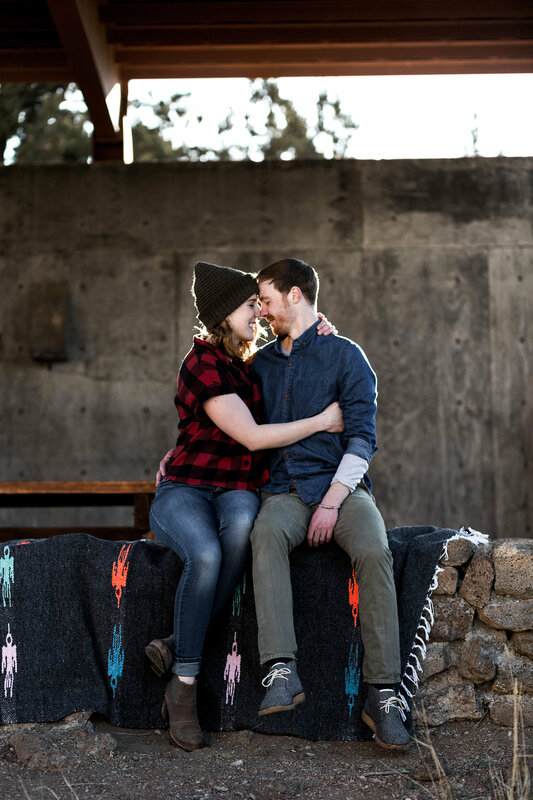 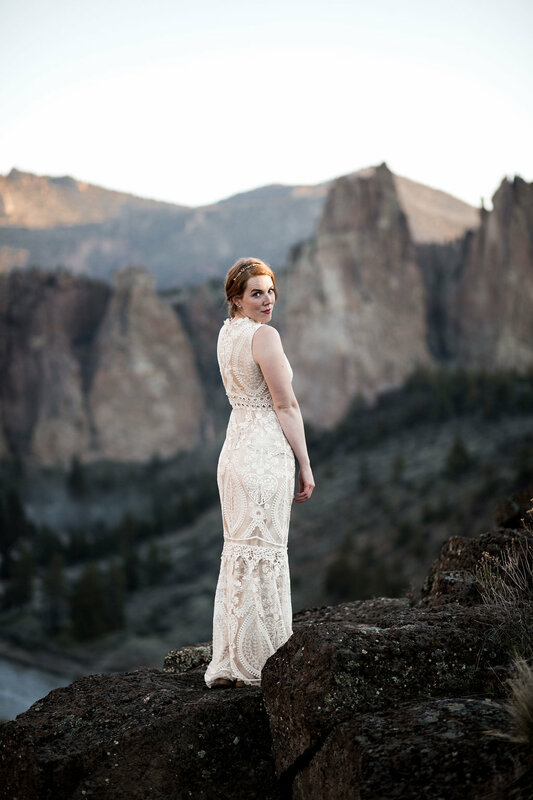 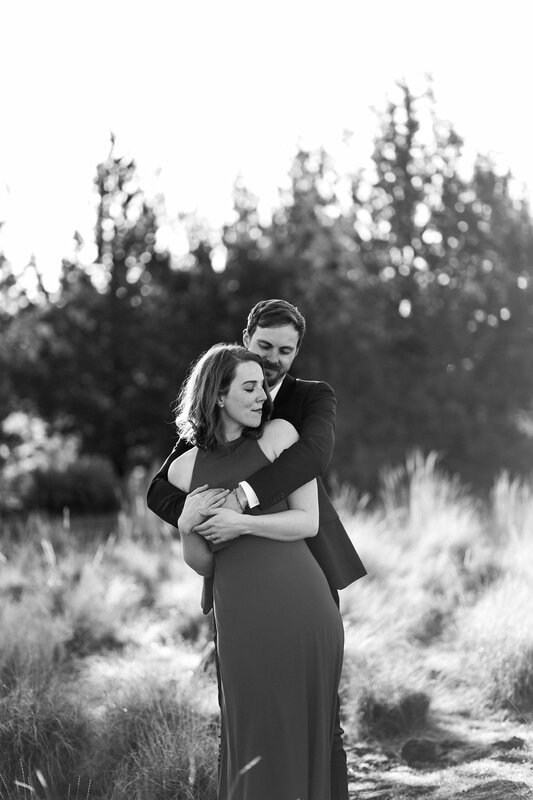 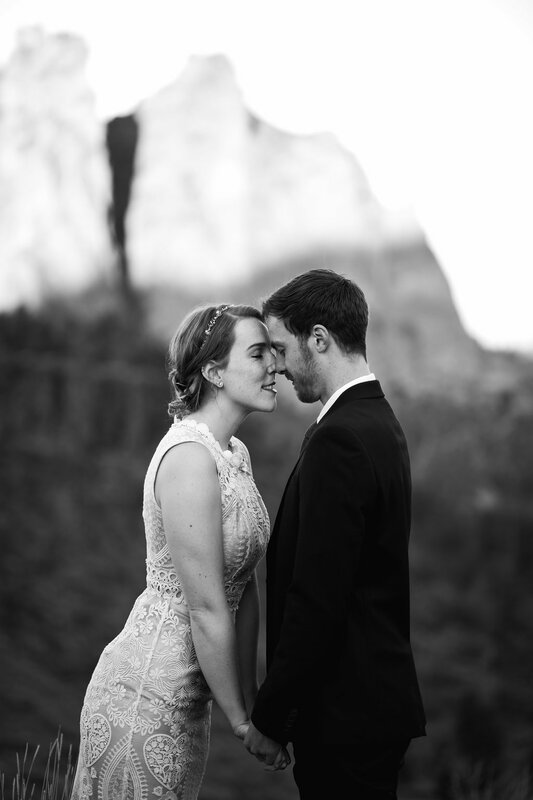 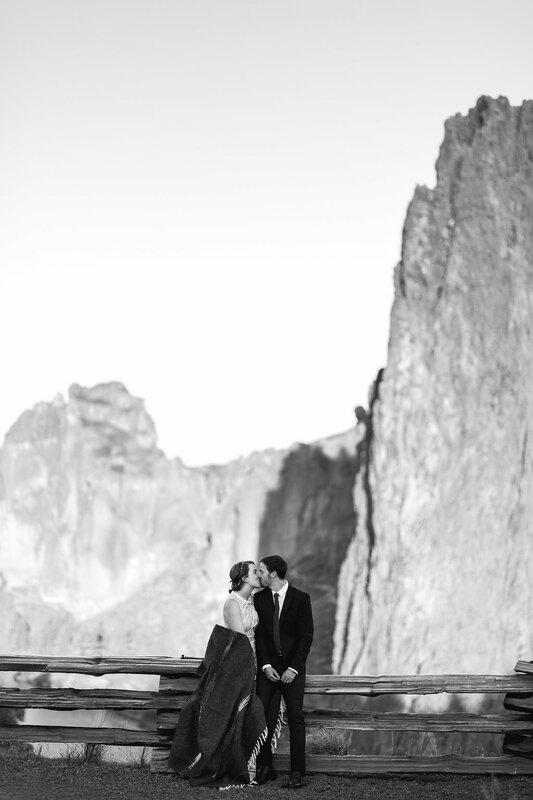 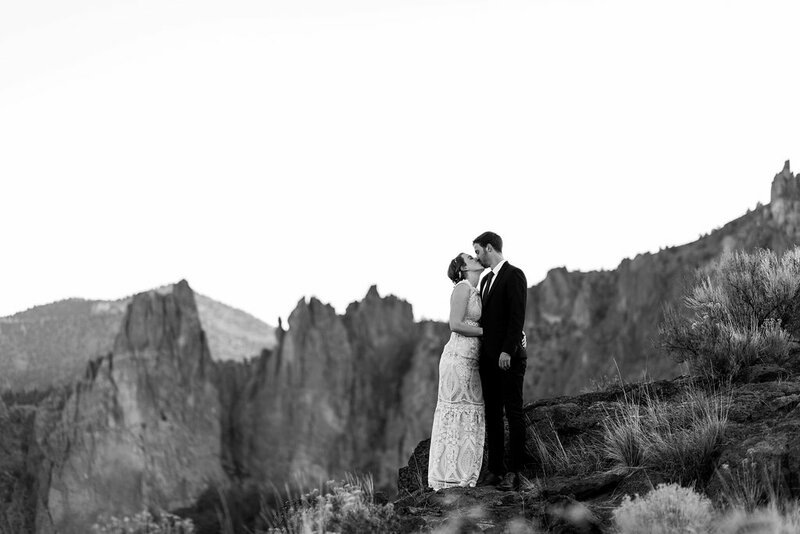 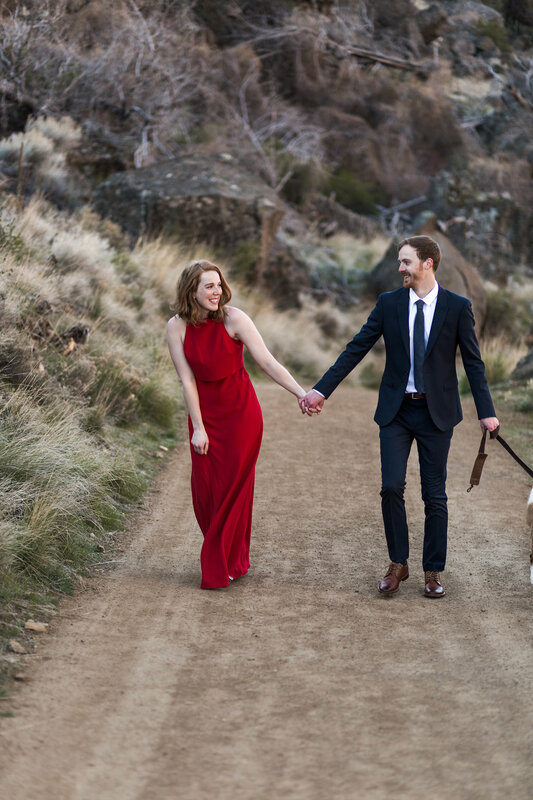 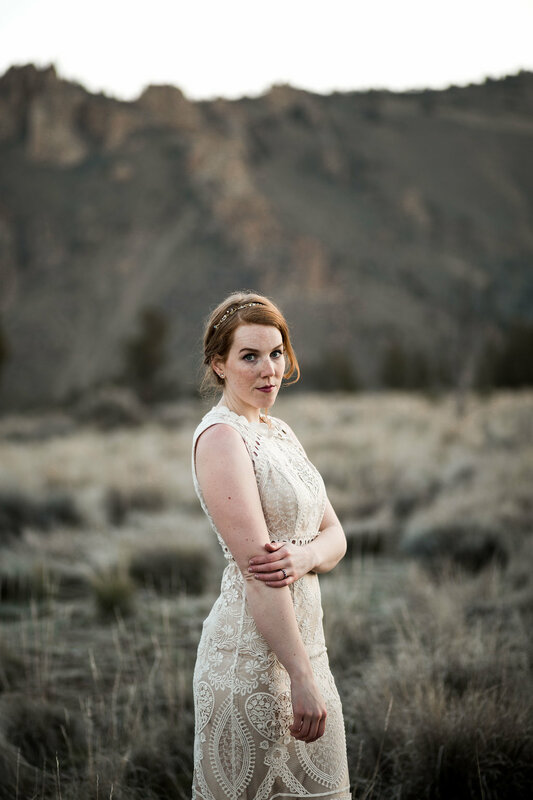 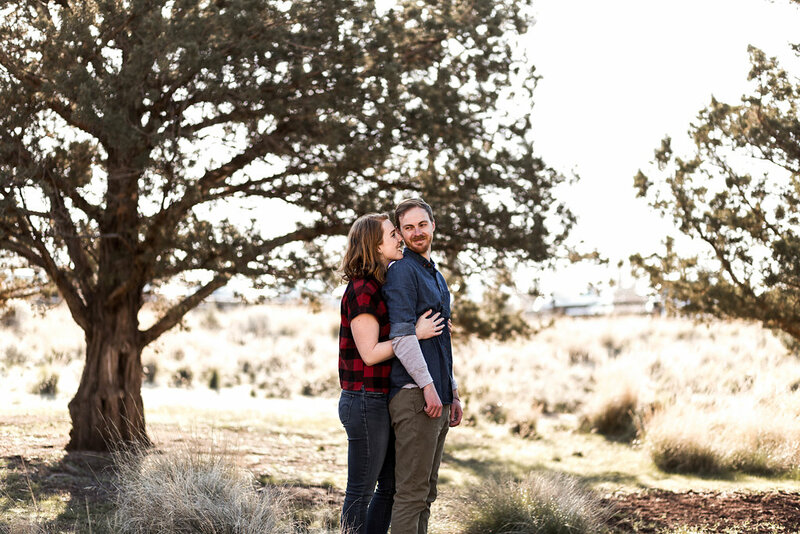 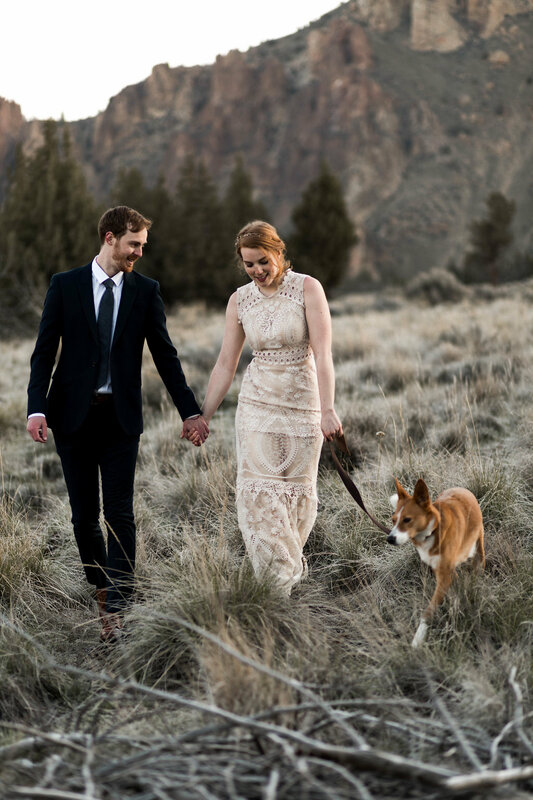 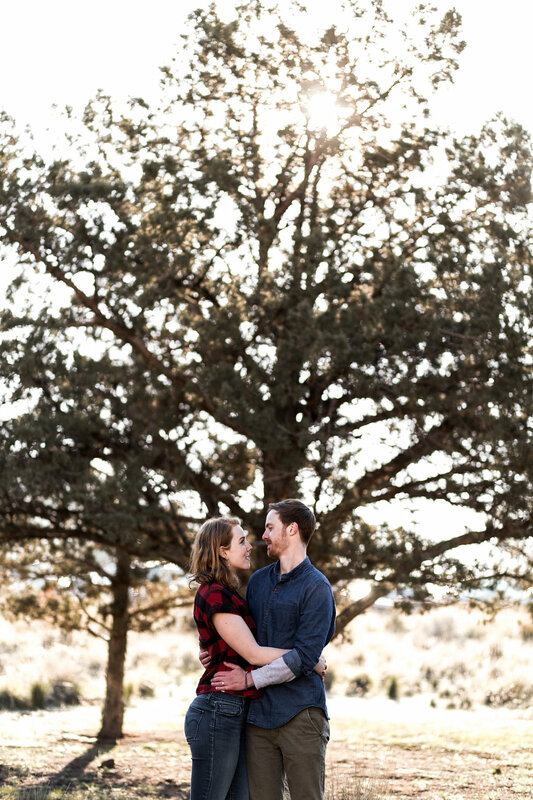 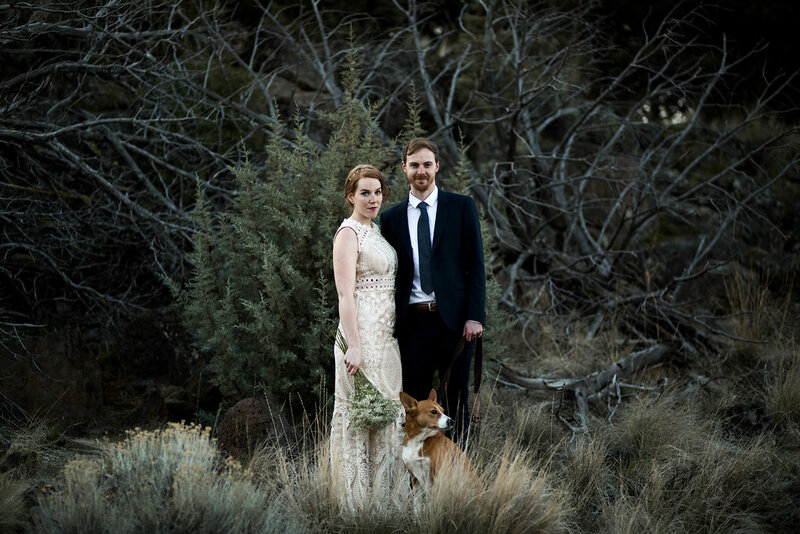 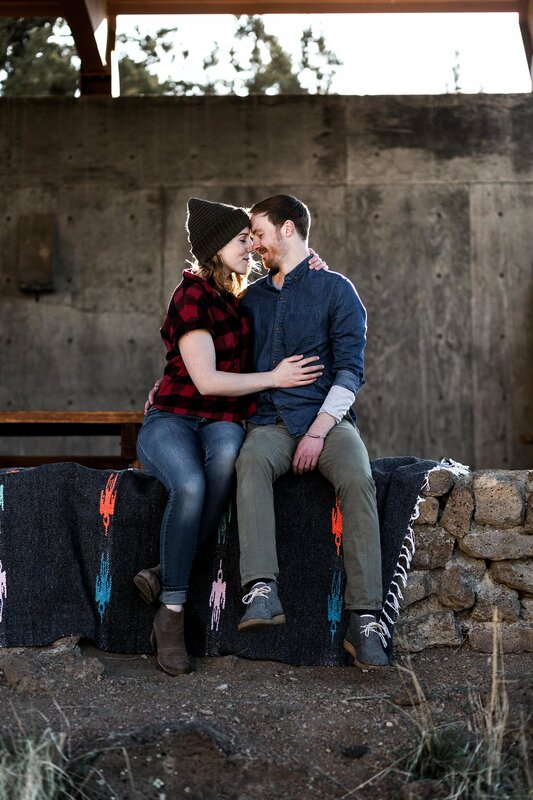 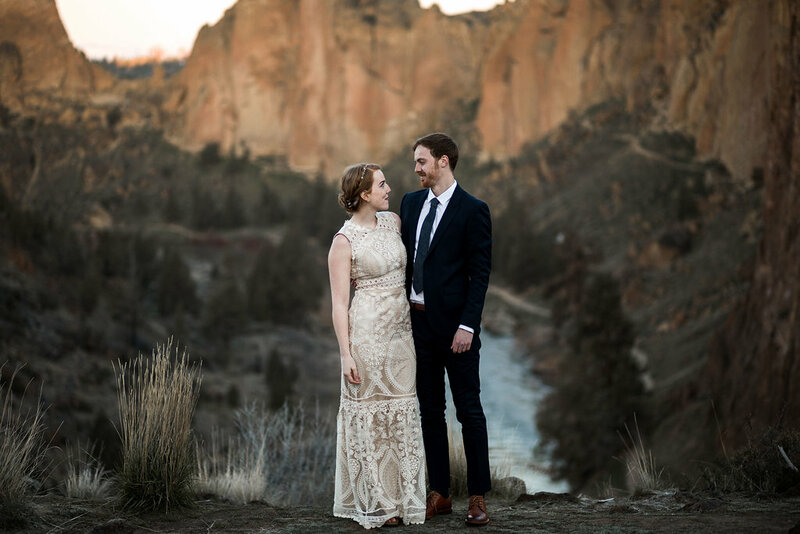 I have been waiting for literally months to post this Smith Rock engagement session! 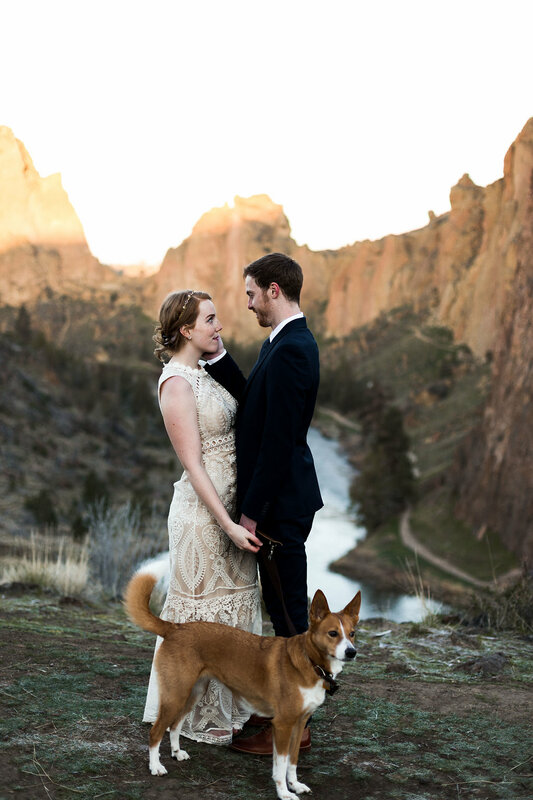 Allison, Eric and their pup Nico travelled down to Bend with my husband and I for some rock climbing and photo taking. 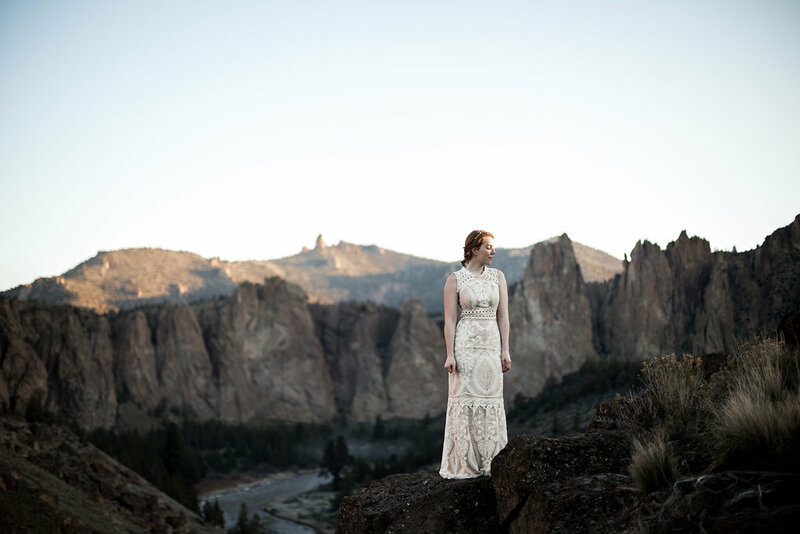 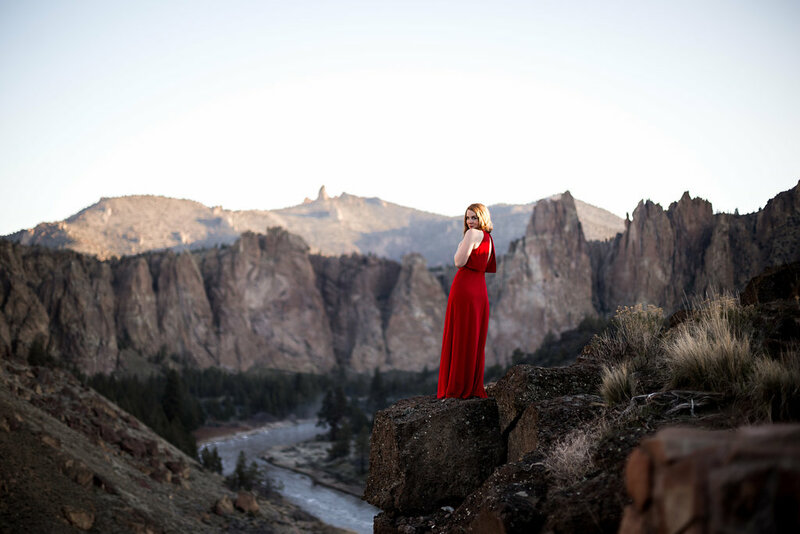 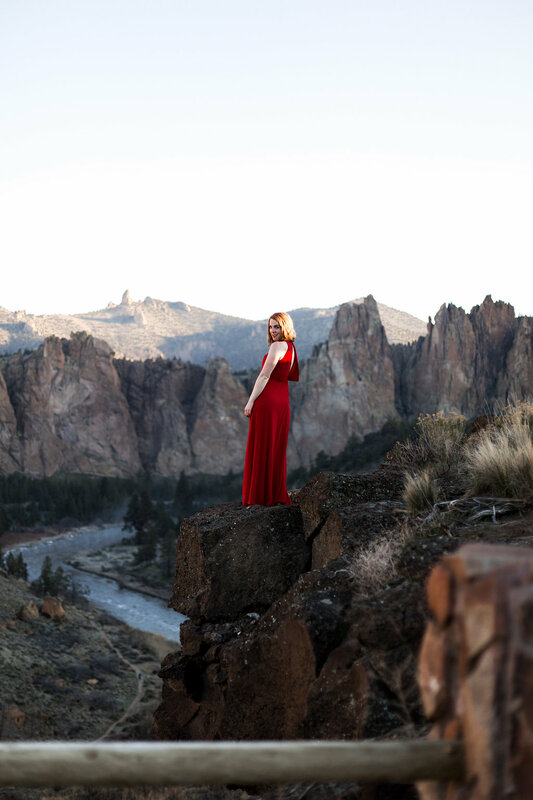 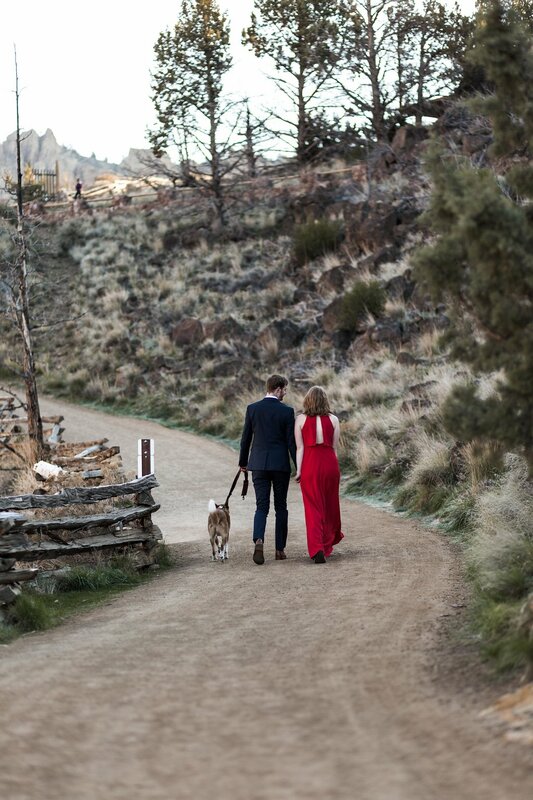 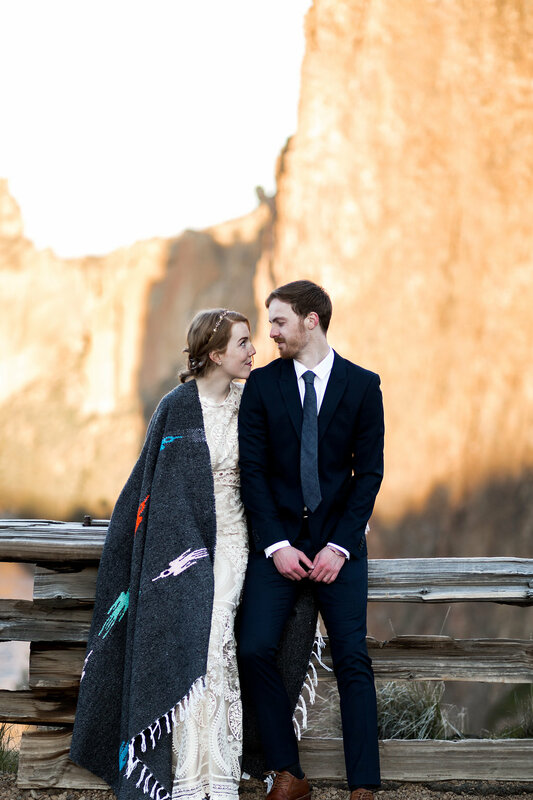 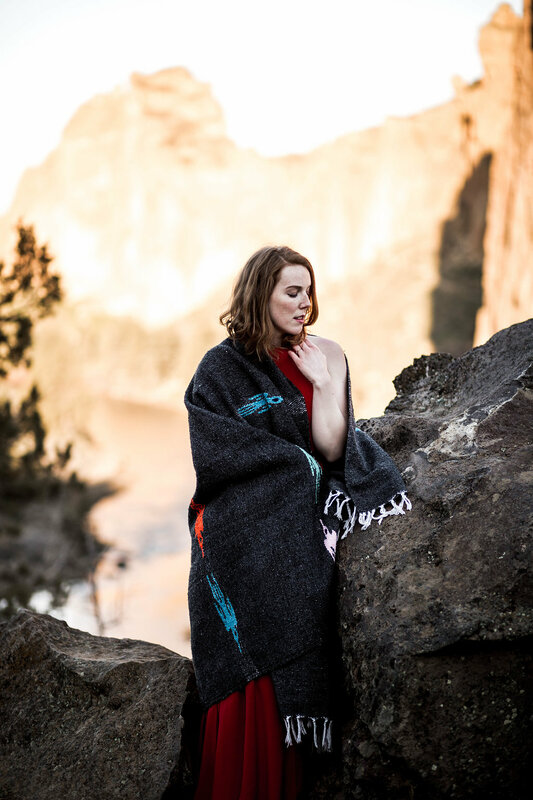 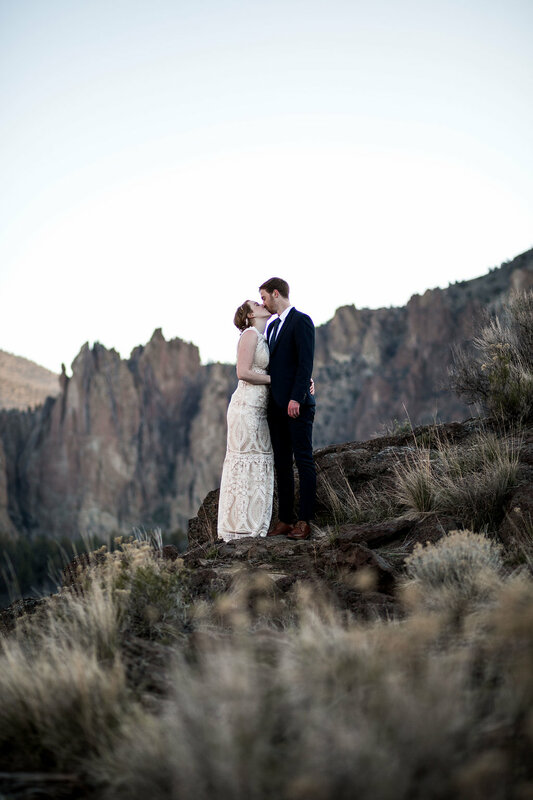 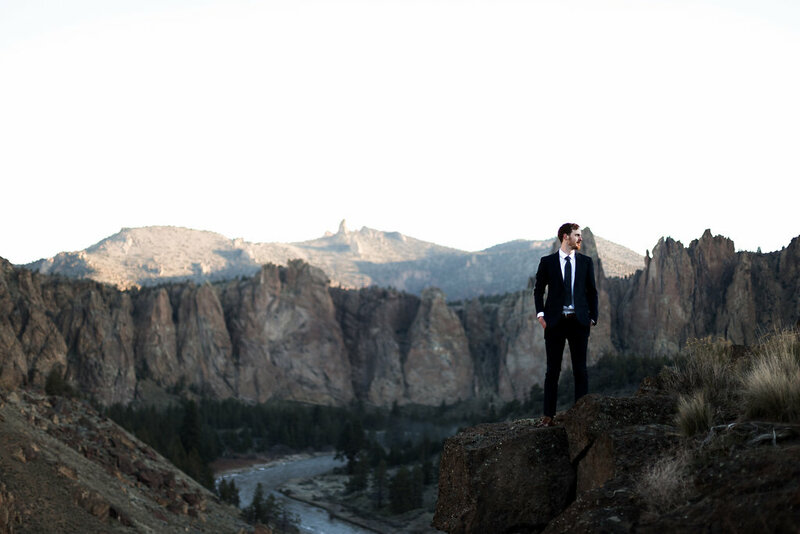 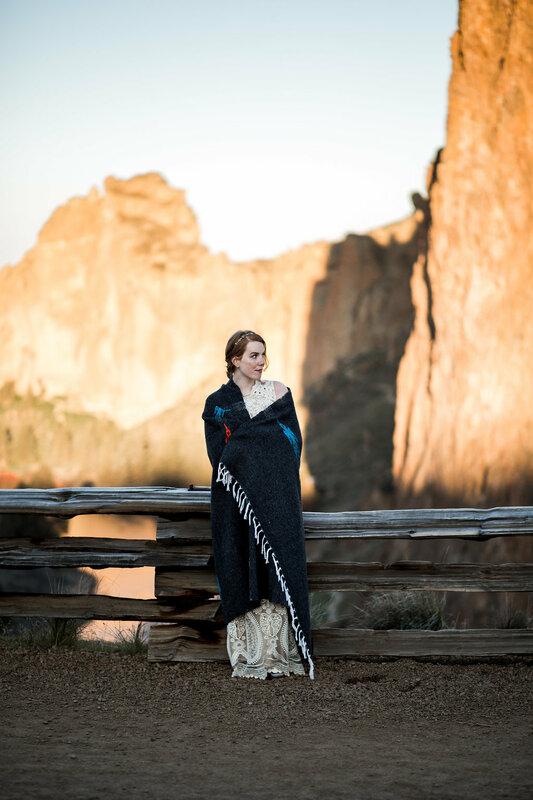 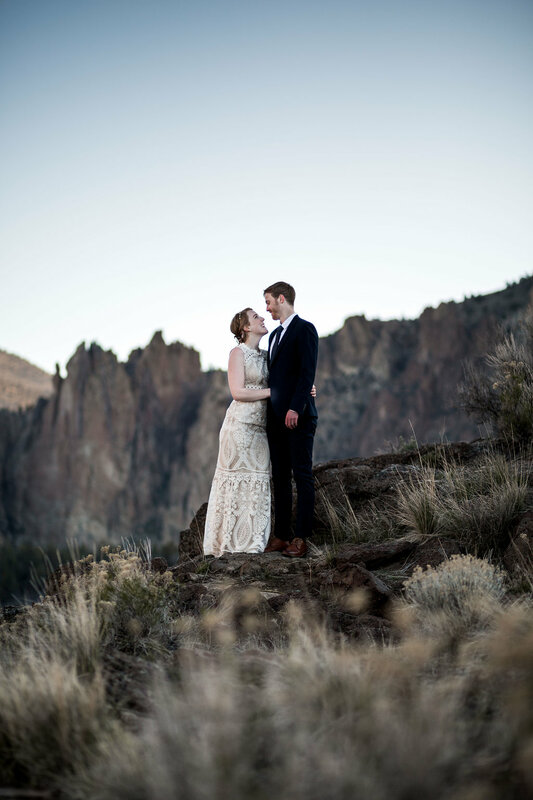 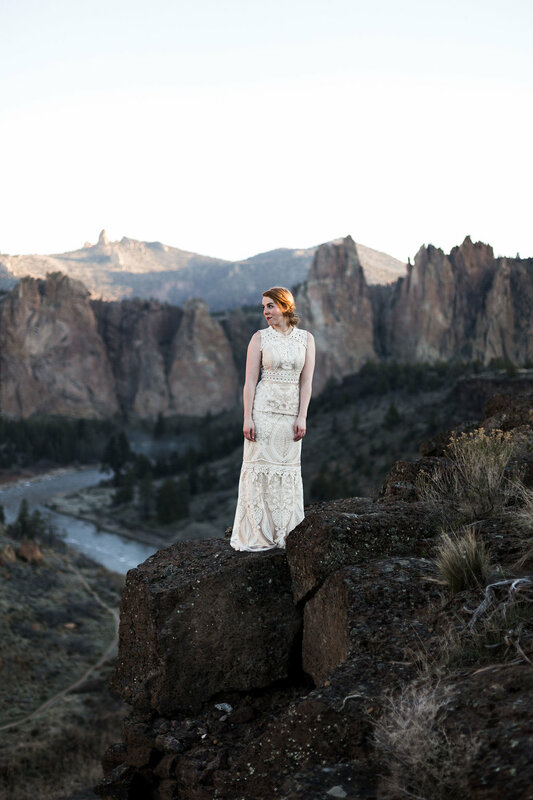 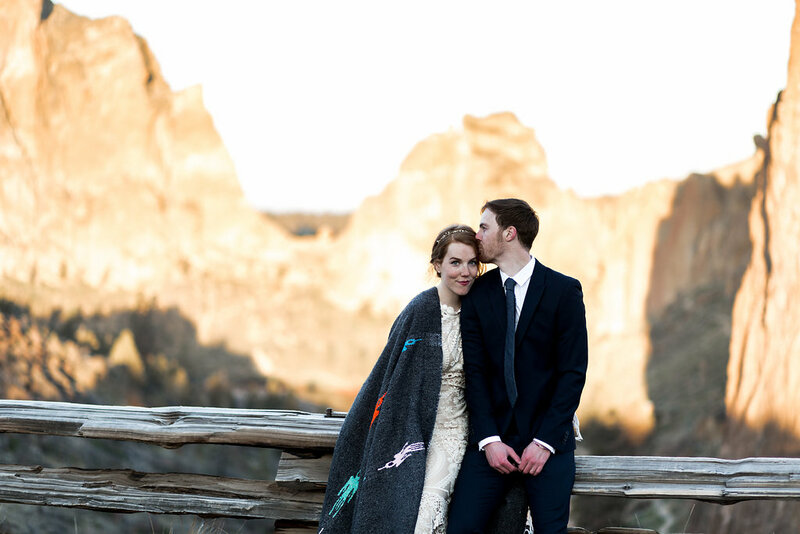 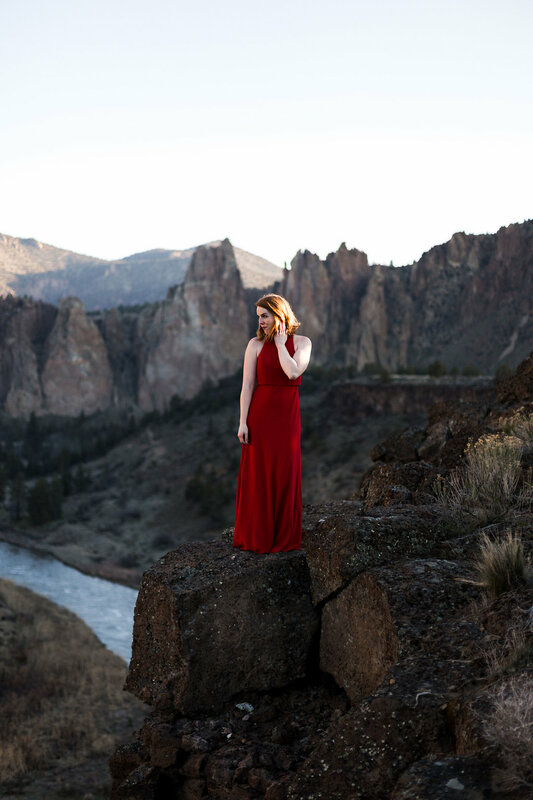 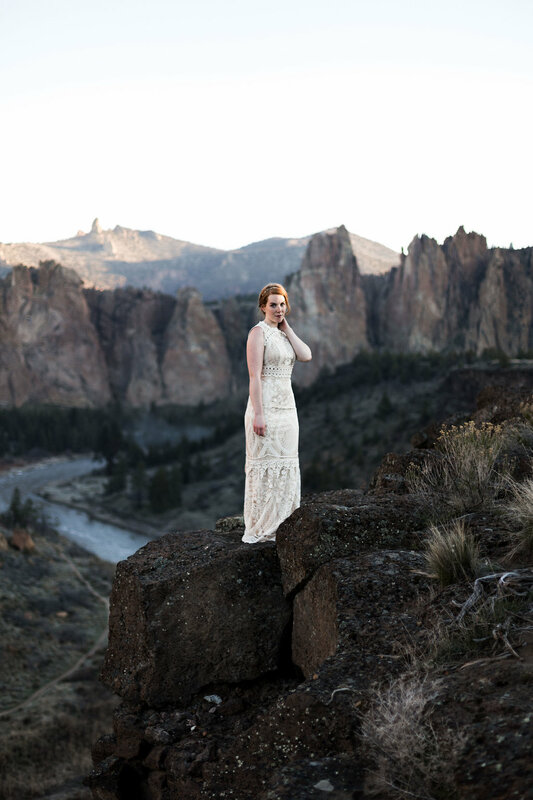 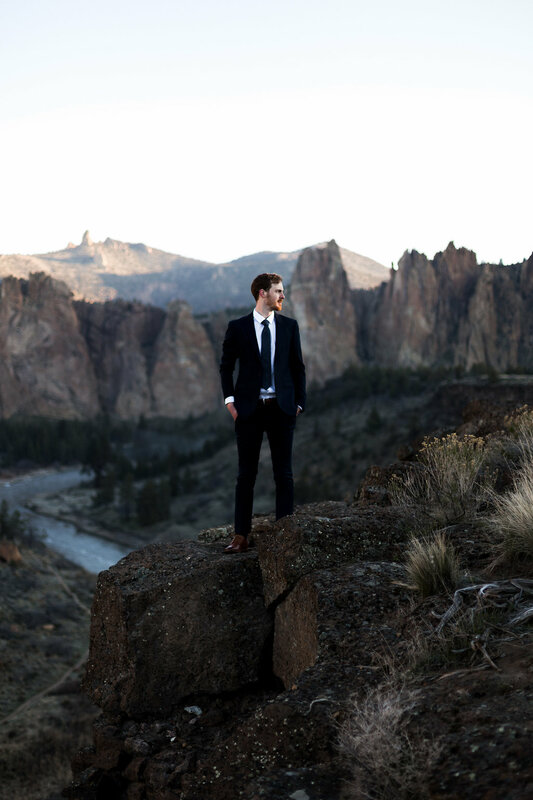 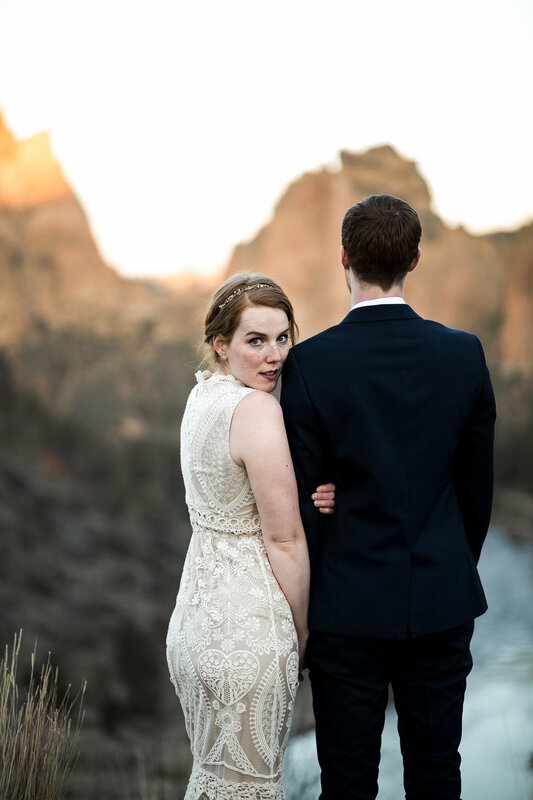 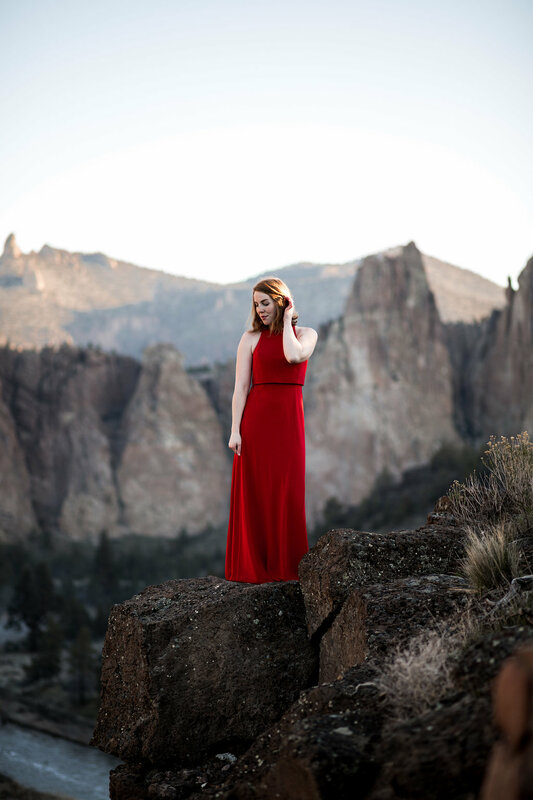 We decided to wake up bright and early for sunrise at Smith Rock State Park for their engagement session - what we didn't count on is how cold sunrise in April can be. 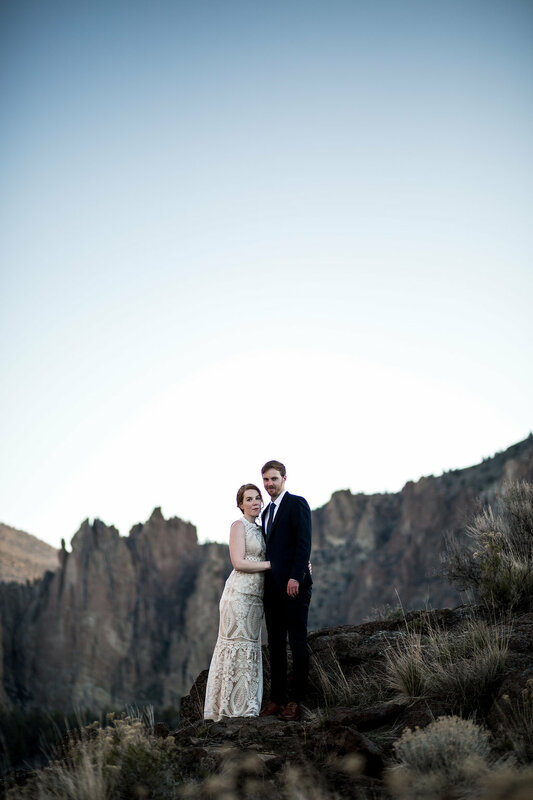 These two powered through the chill and we watched the sun come up over the red cliff faces. 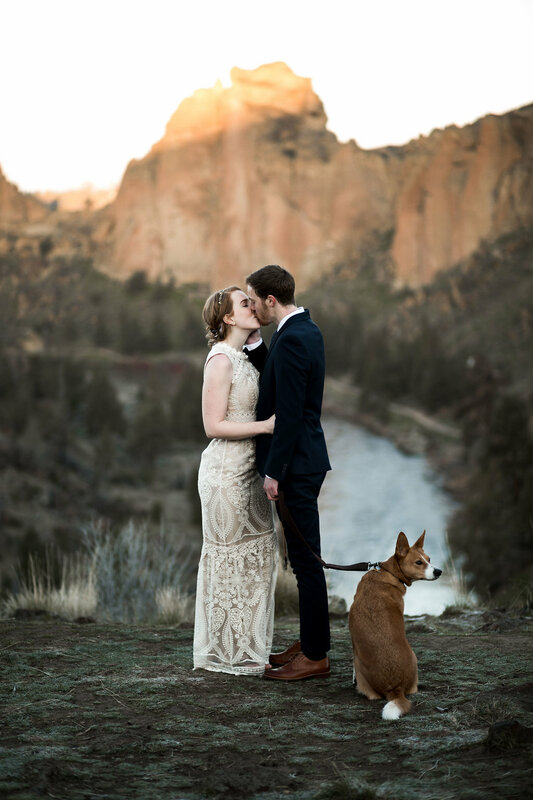 It was an epic morning full of love and puppy snuggles. 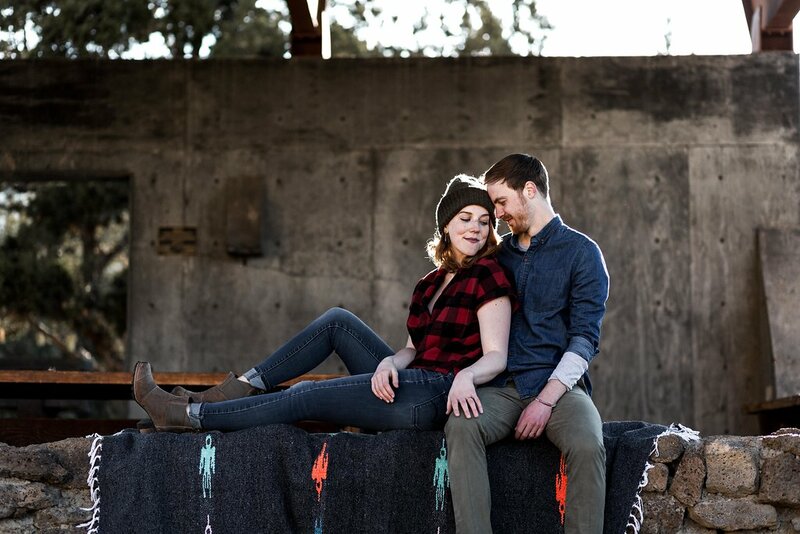 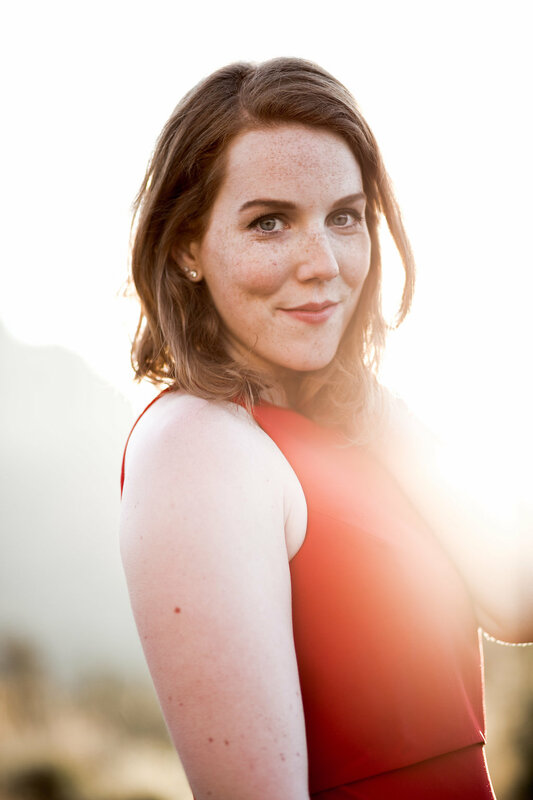 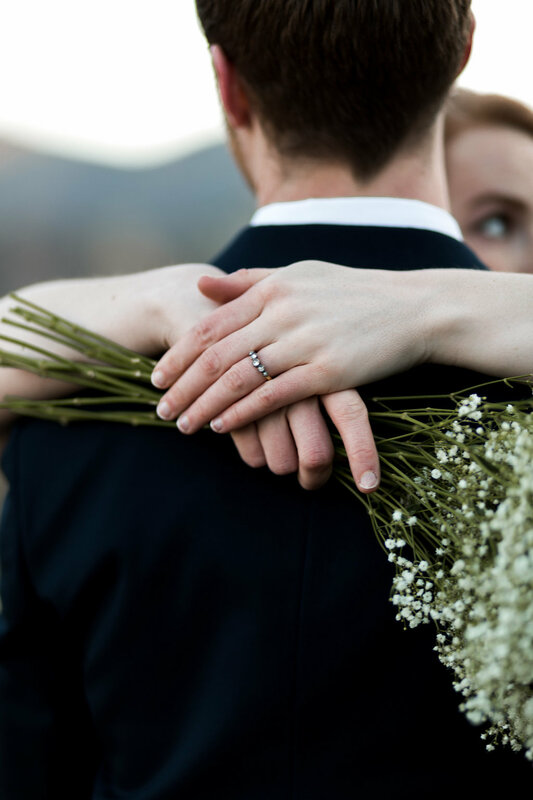 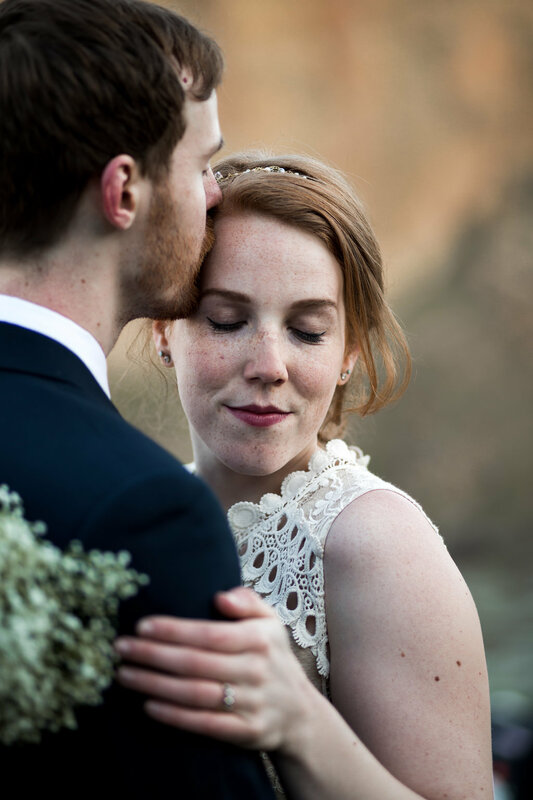 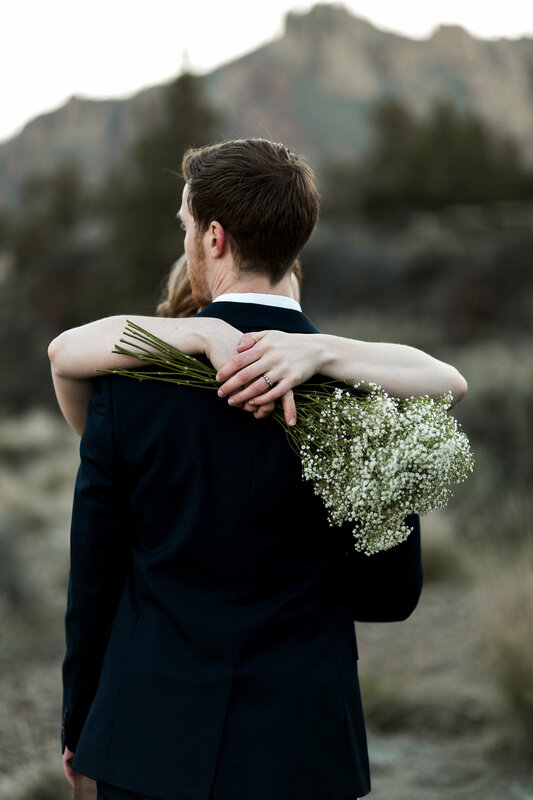 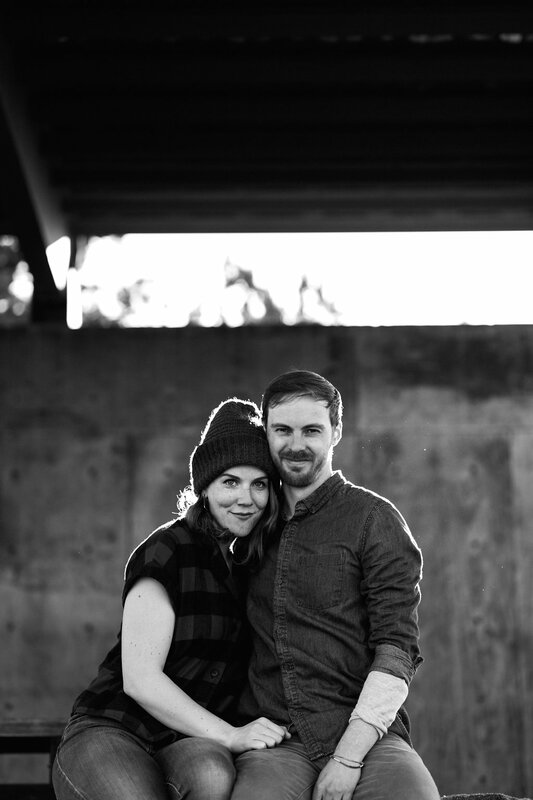 Allison and Eric asked me to keep this photoshoot under wraps until after their elopement in August. 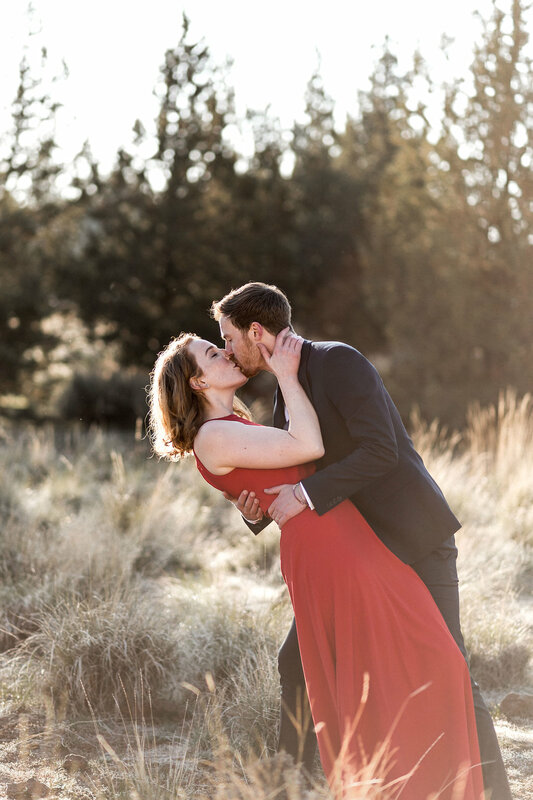 It was so hard to sit on such a beautiful shoot, but it makes it extra exciting to finally be able to post these photos. 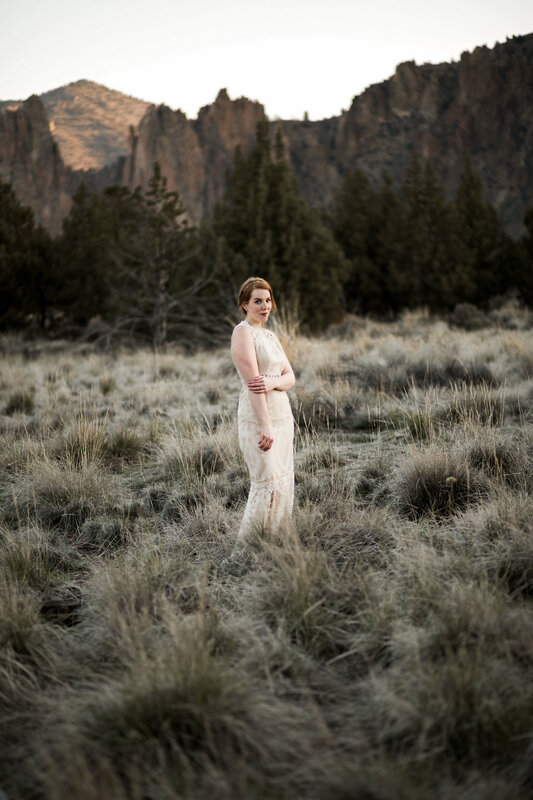 Sunrise shoots are always worth the cold and early wake up time in my book. 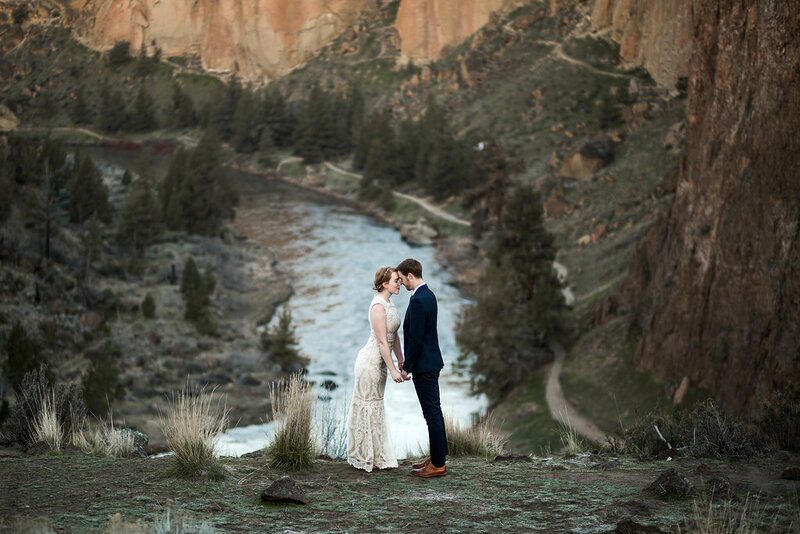 This has to be one of my favorite Oregon spots!